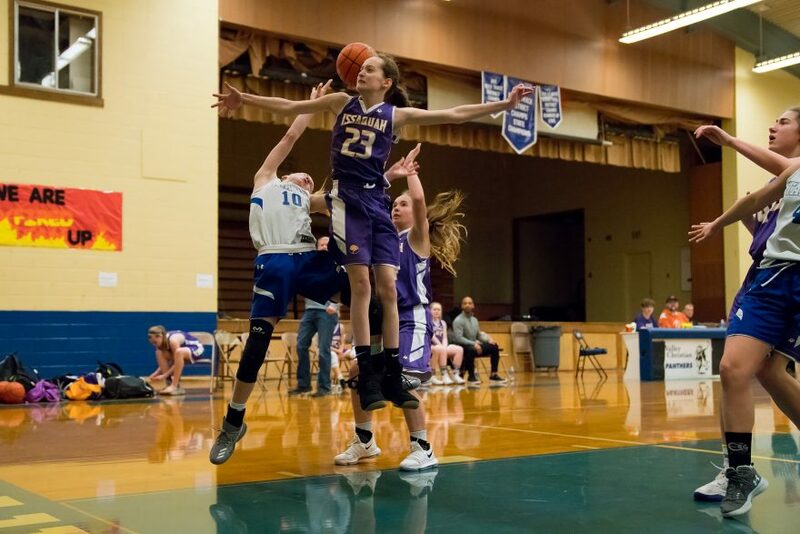 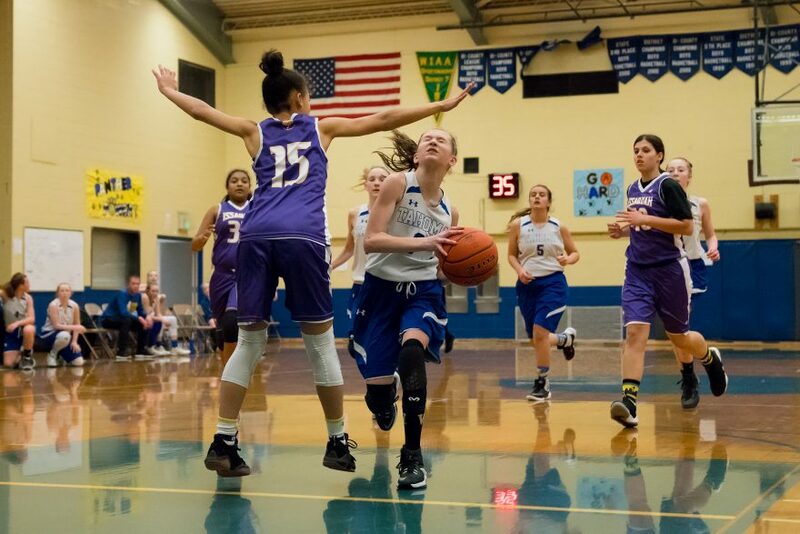 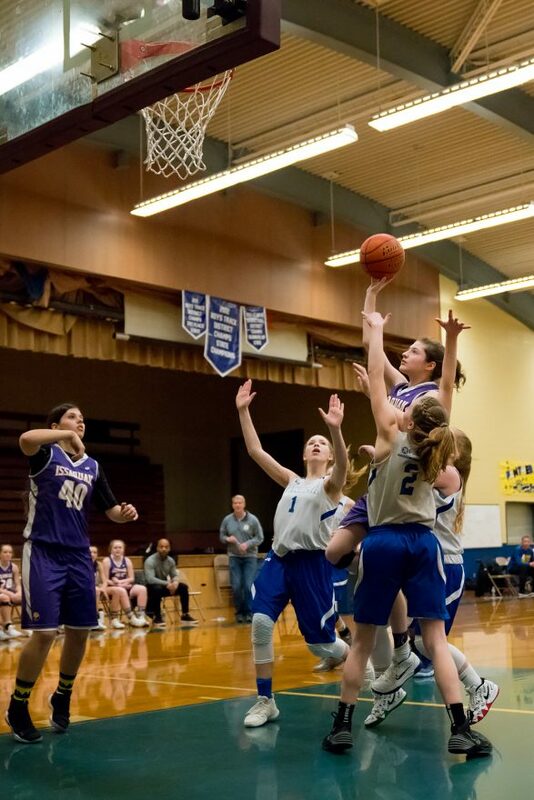 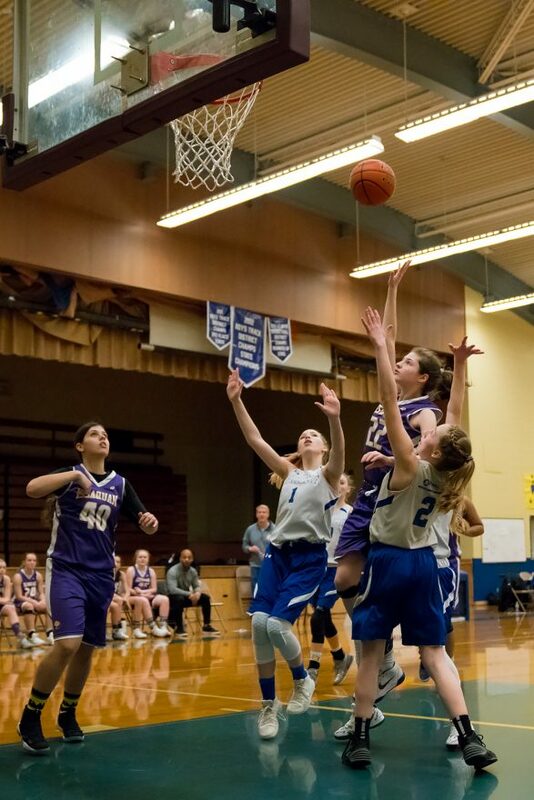 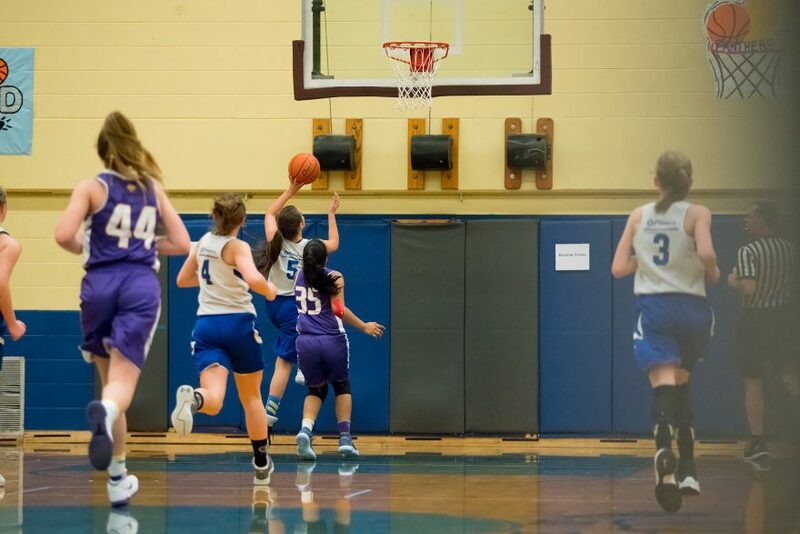 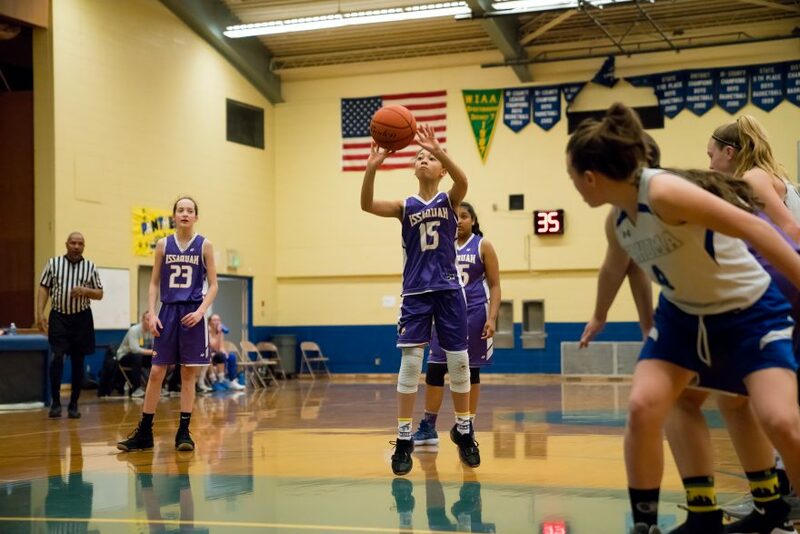 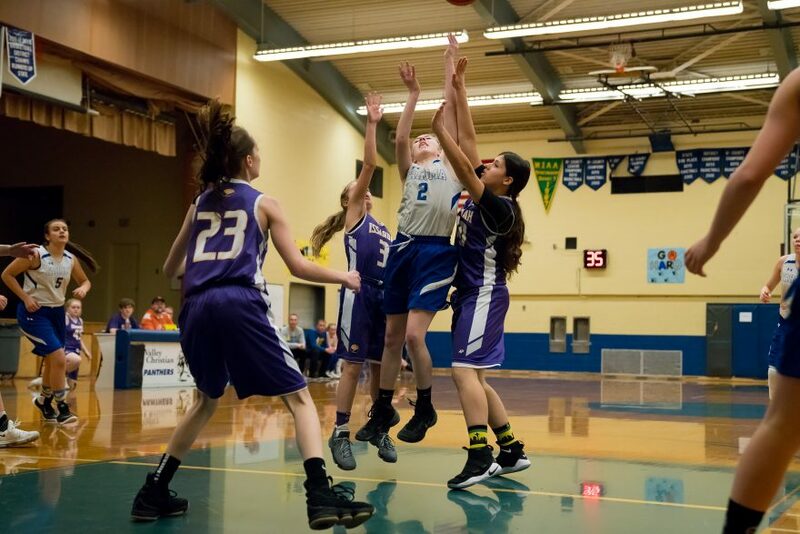 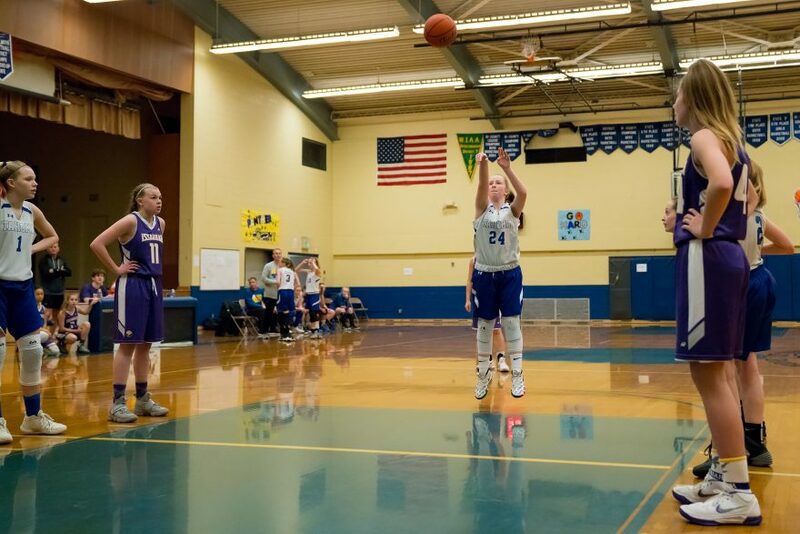 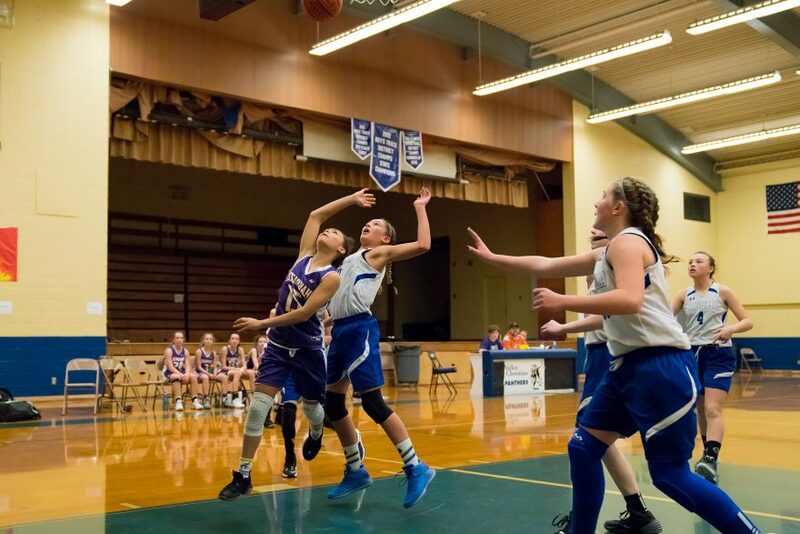 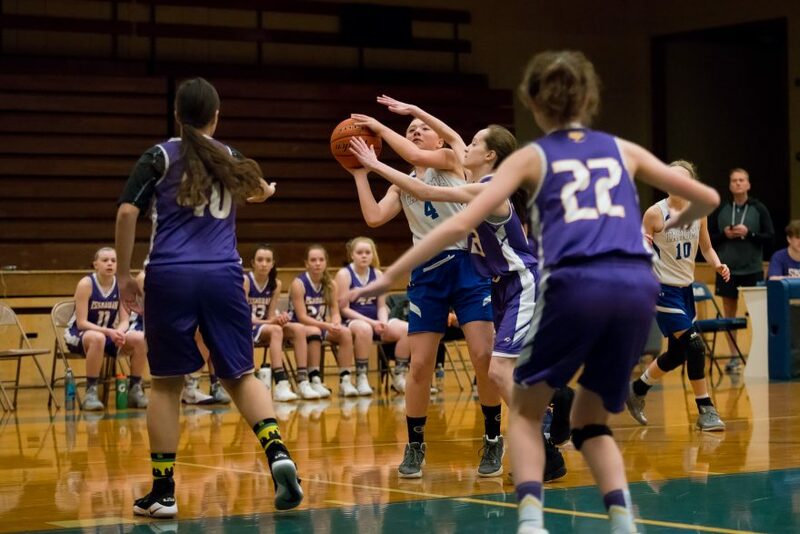 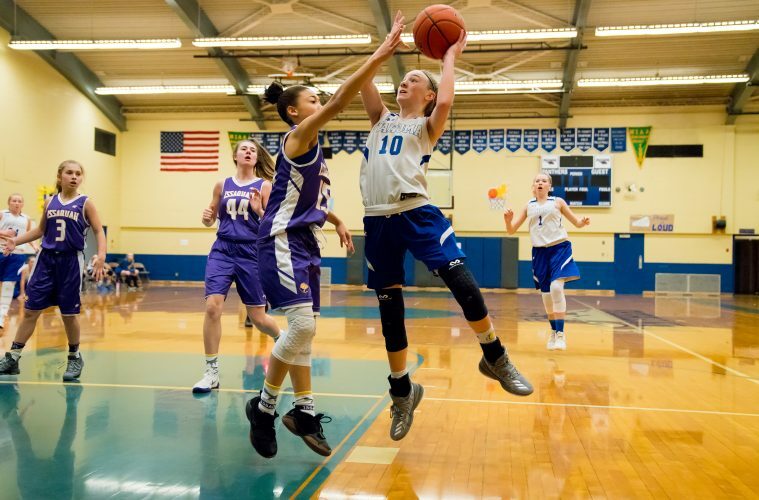 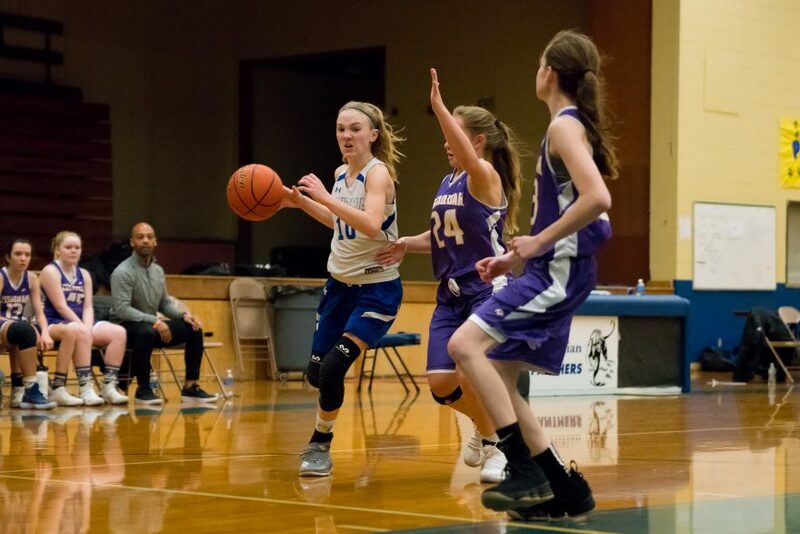 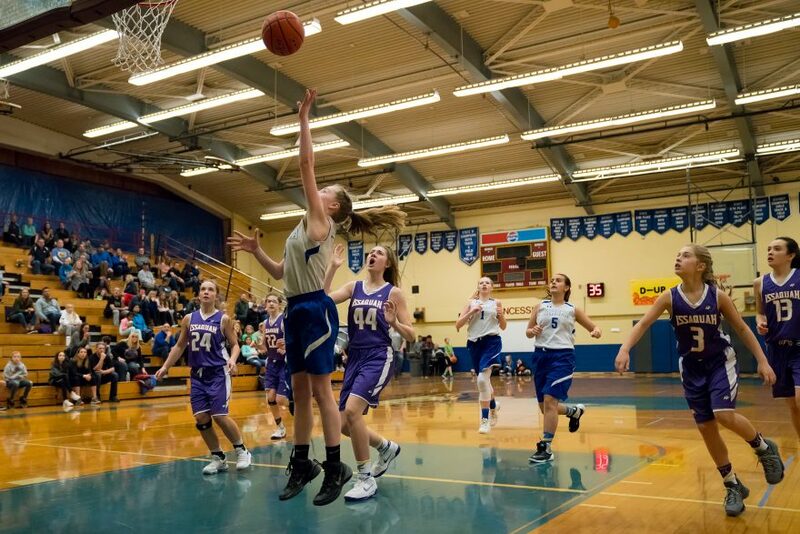 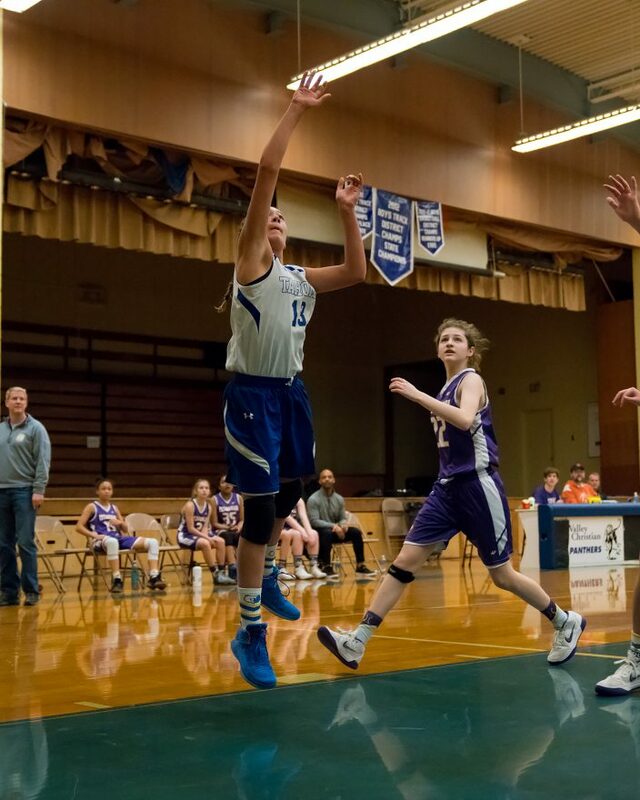 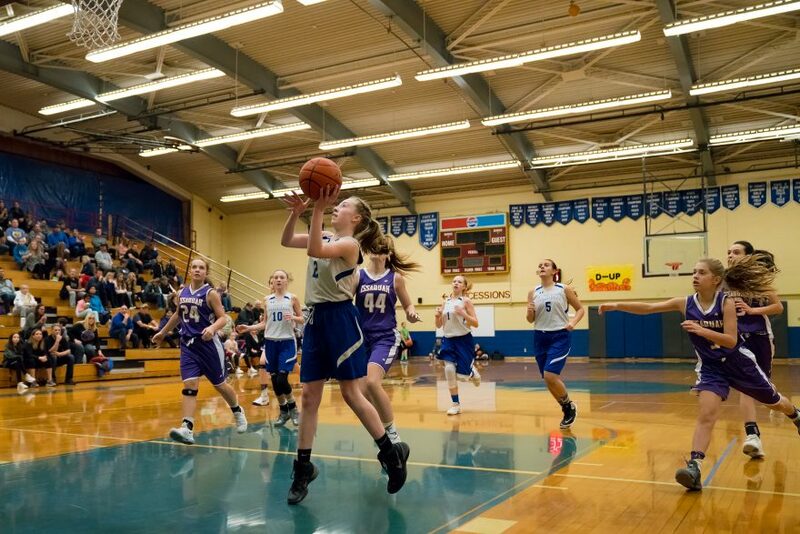 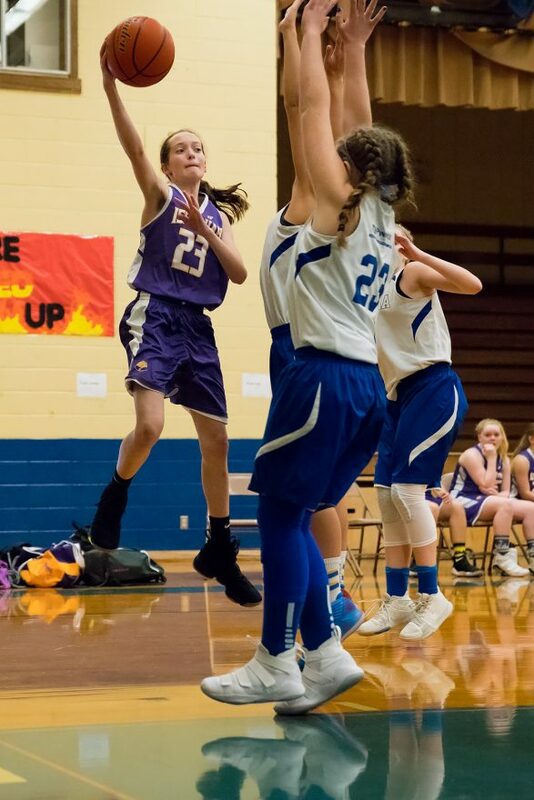 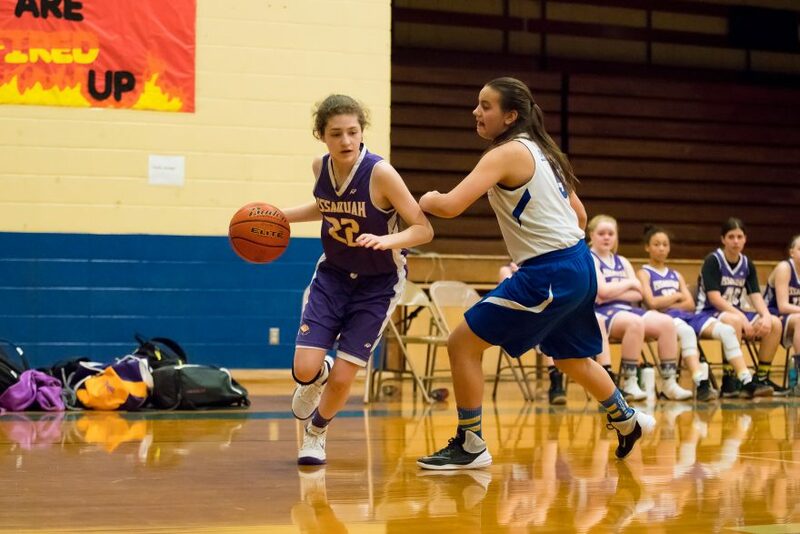 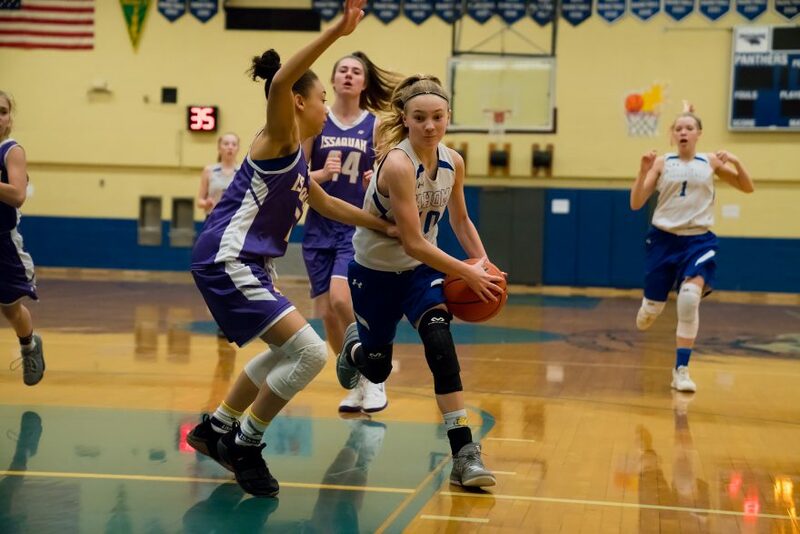 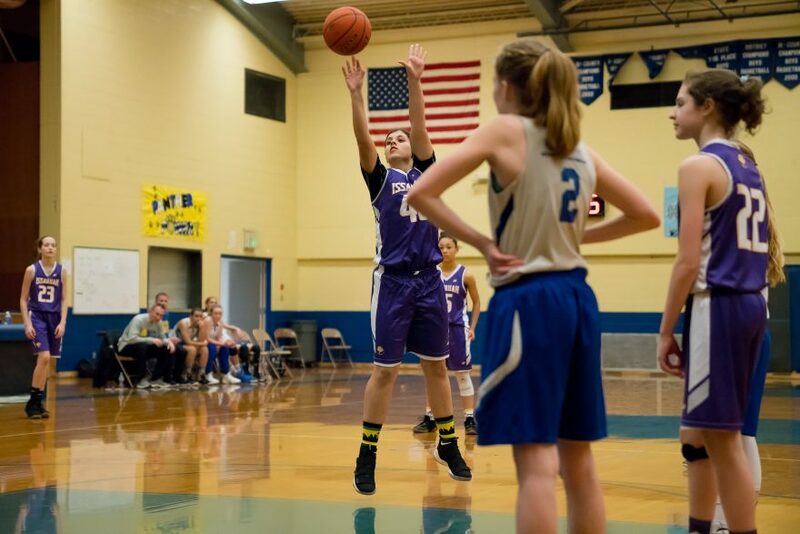 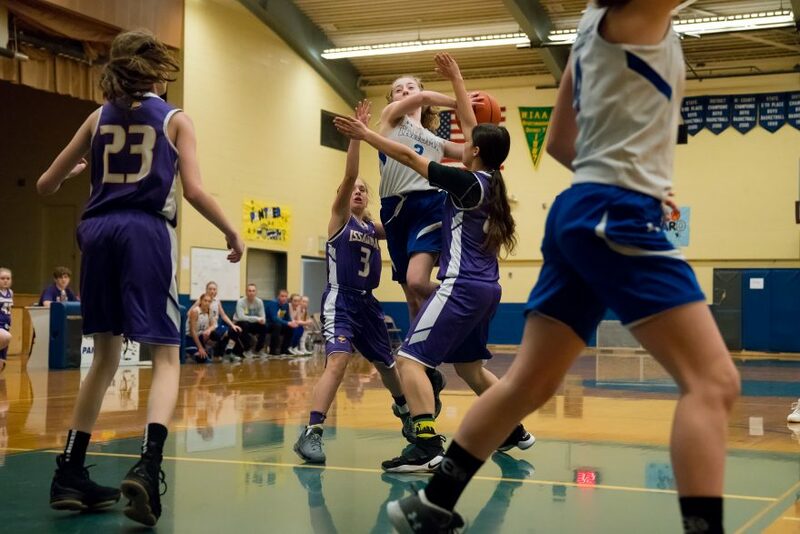 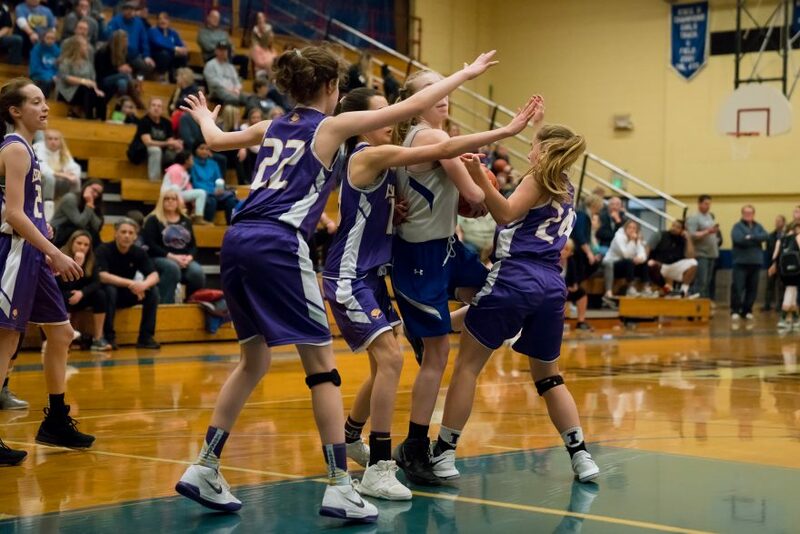 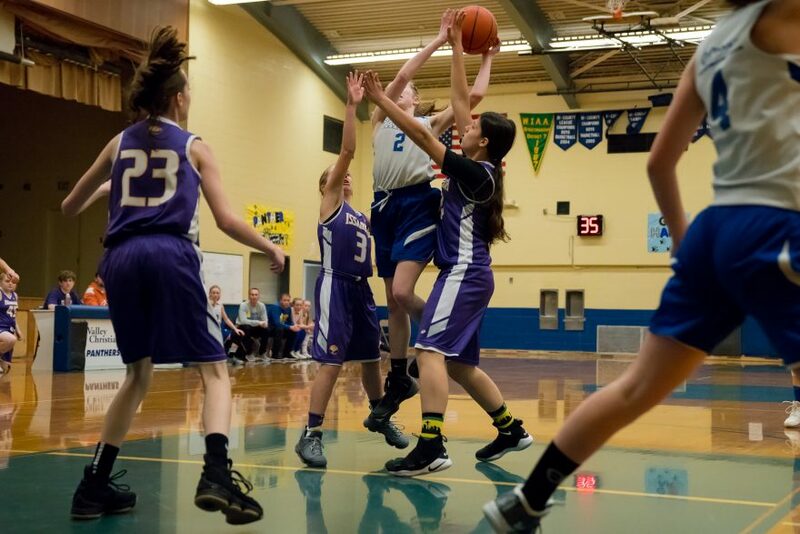 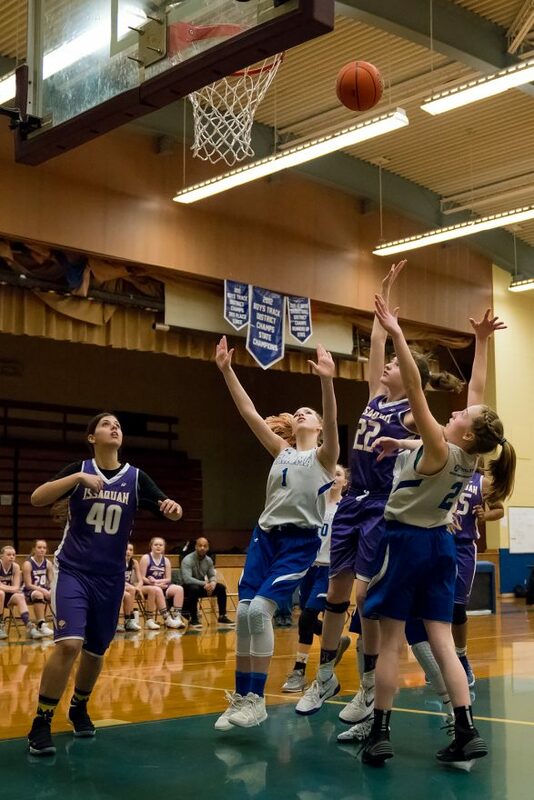 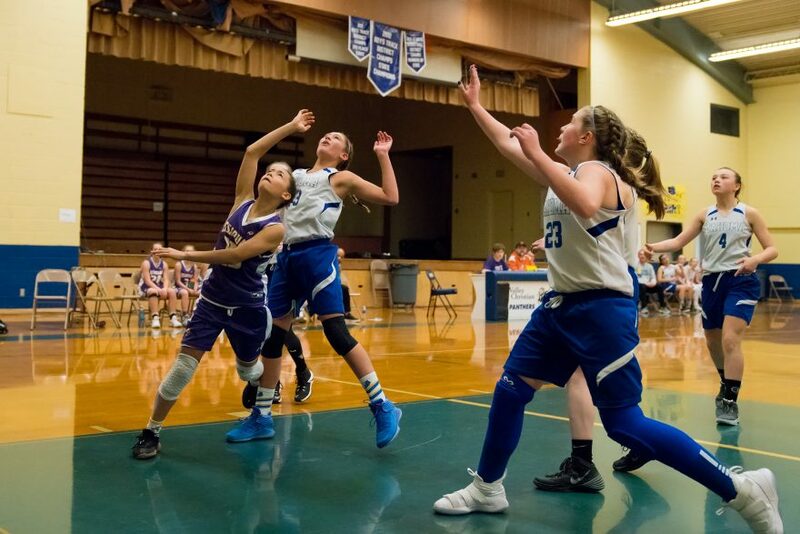 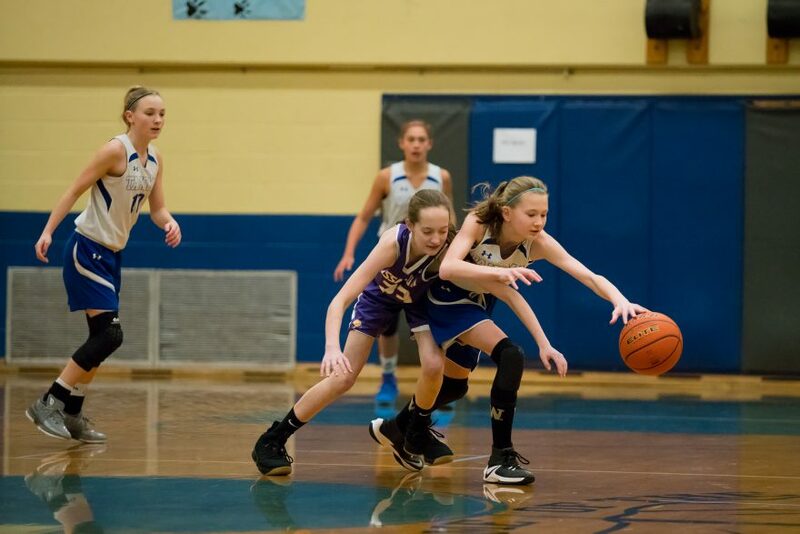 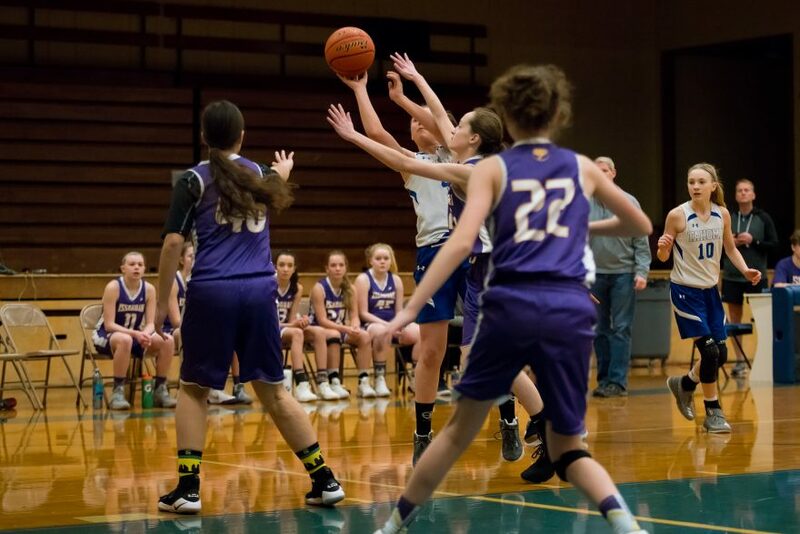 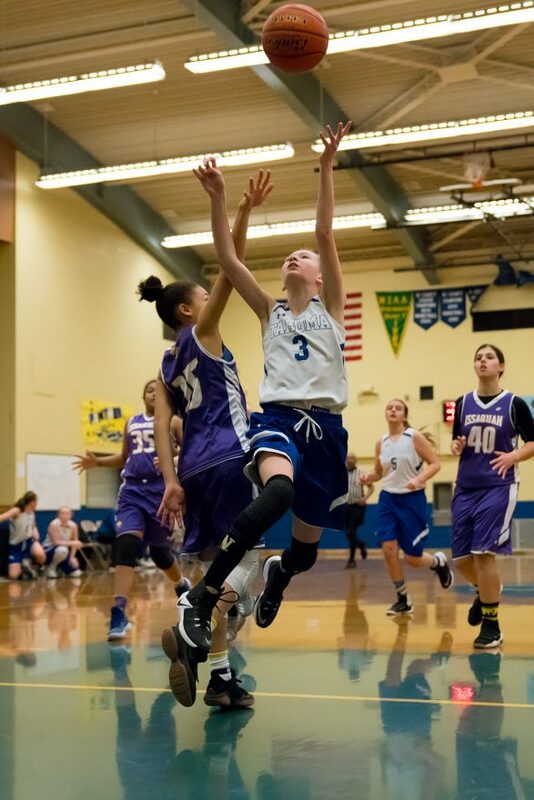 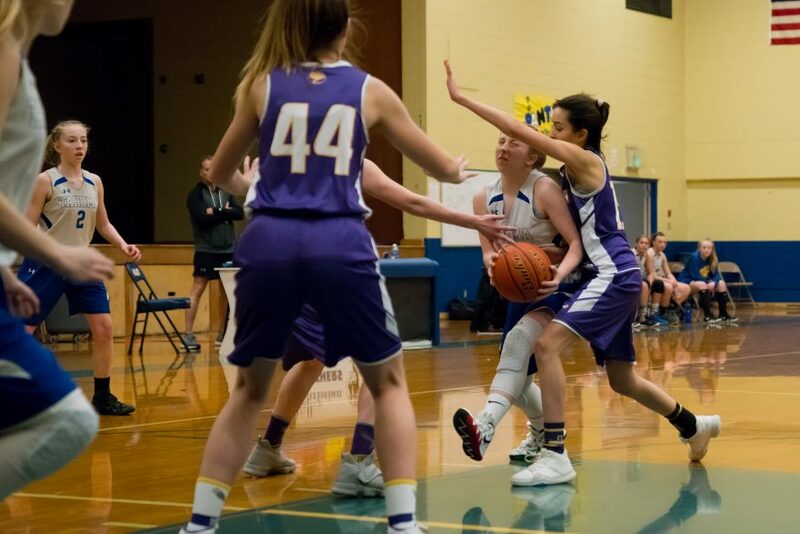 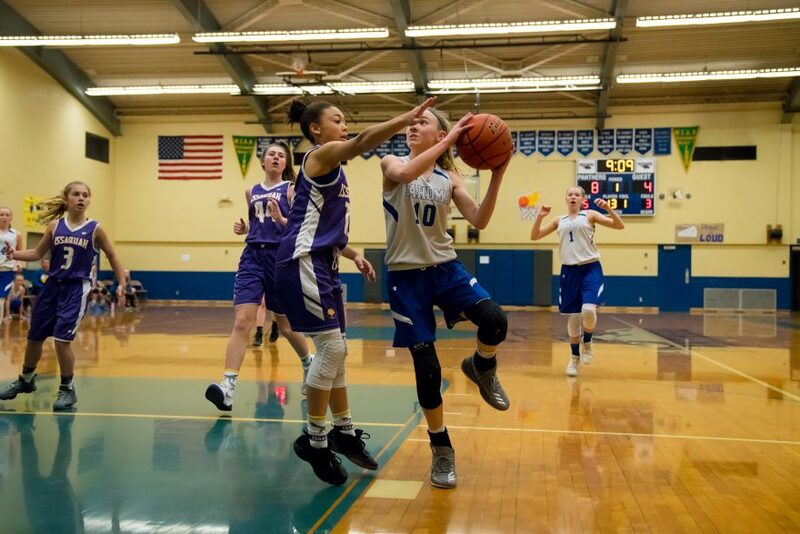 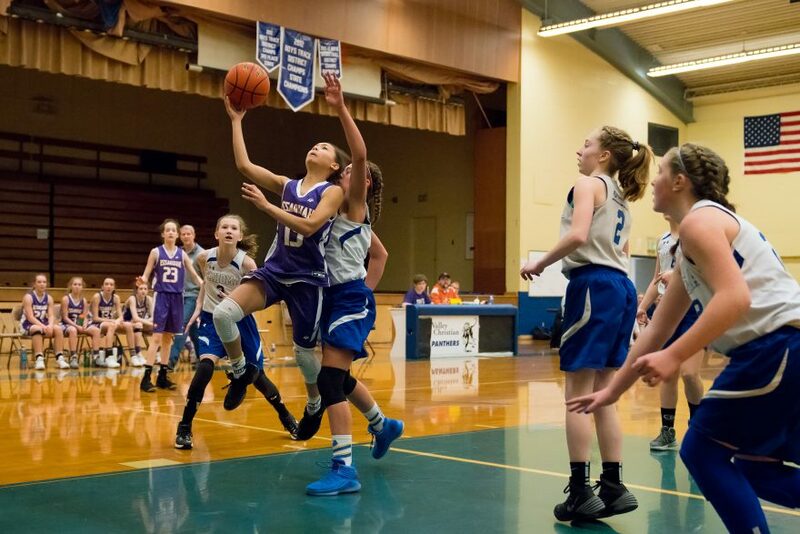 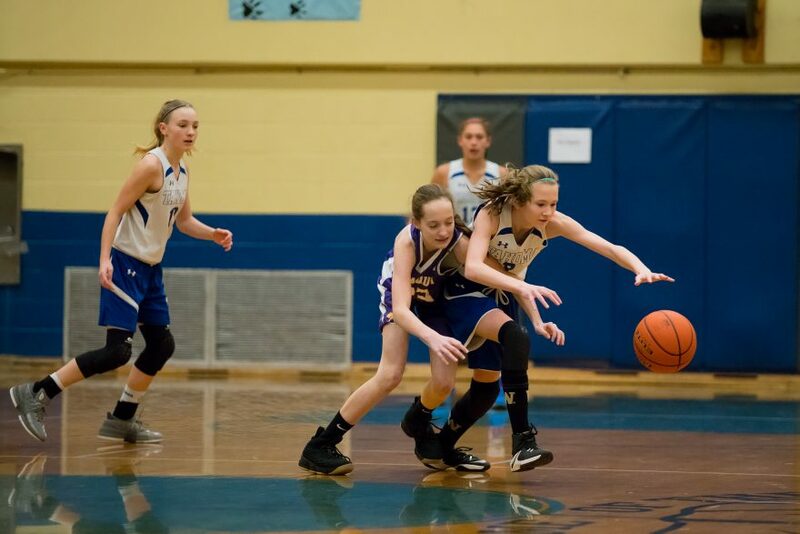 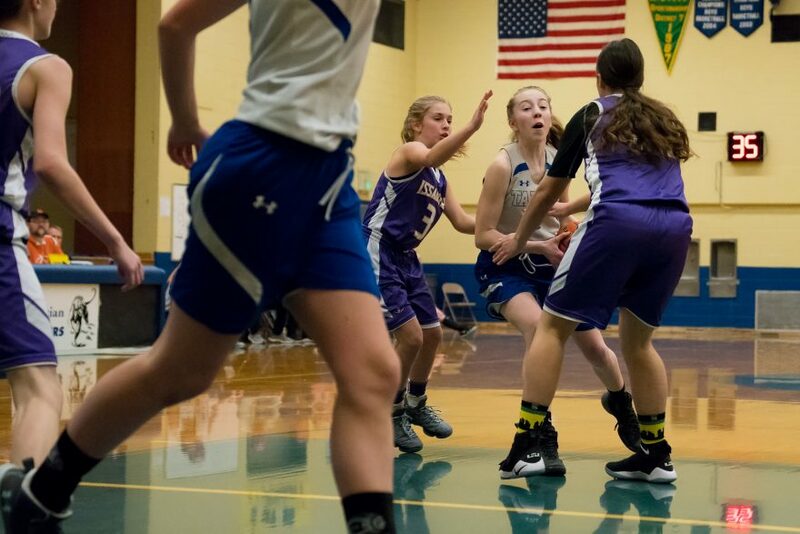 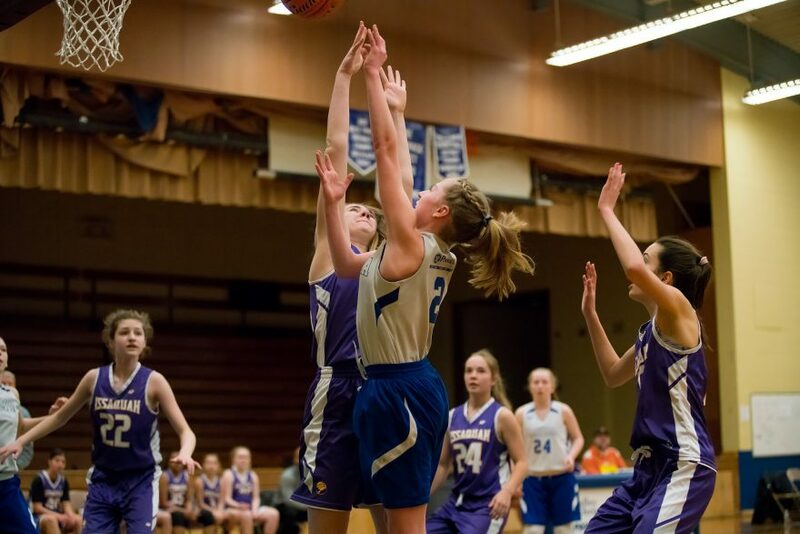 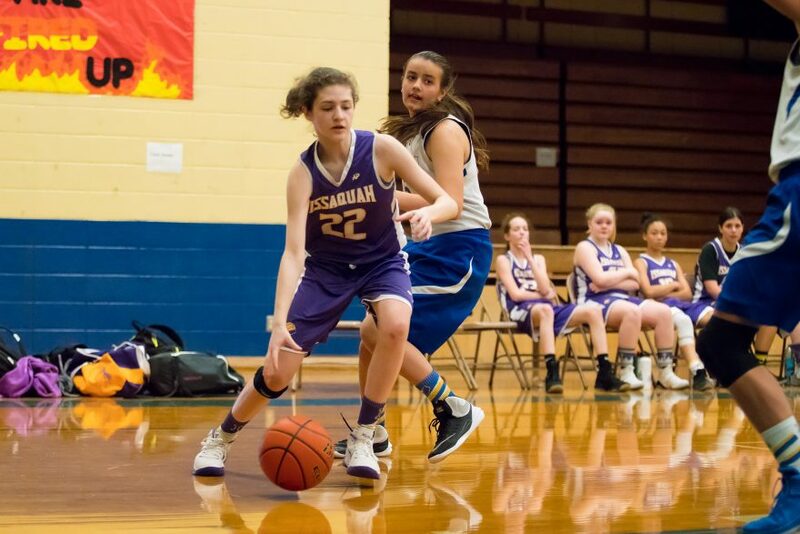 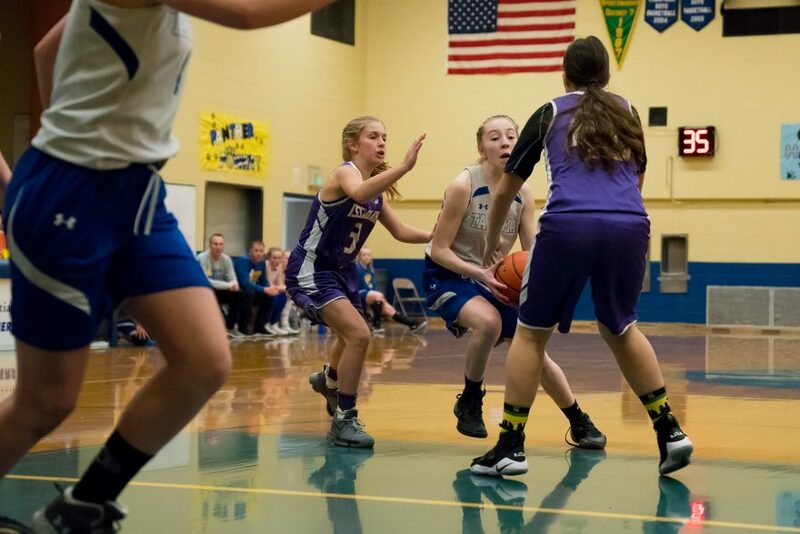 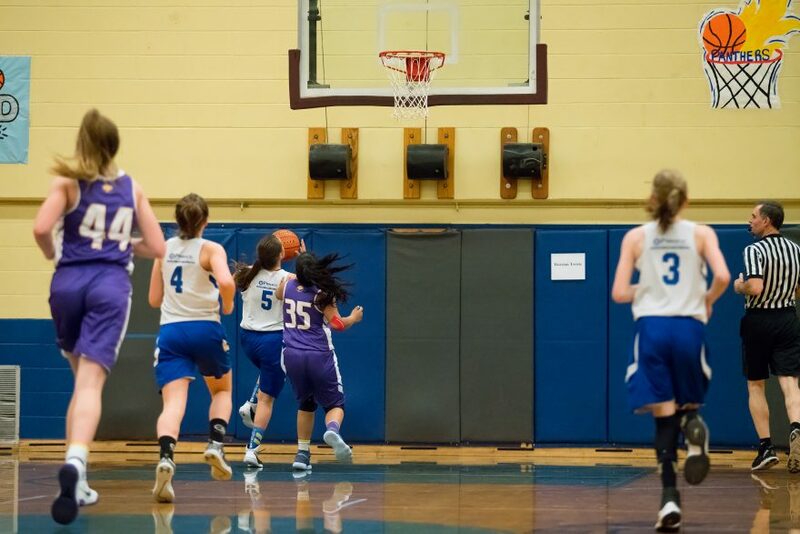 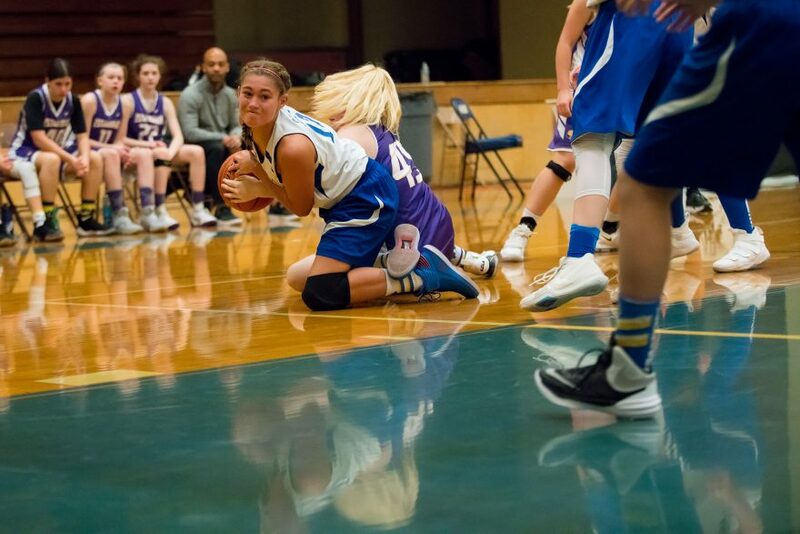 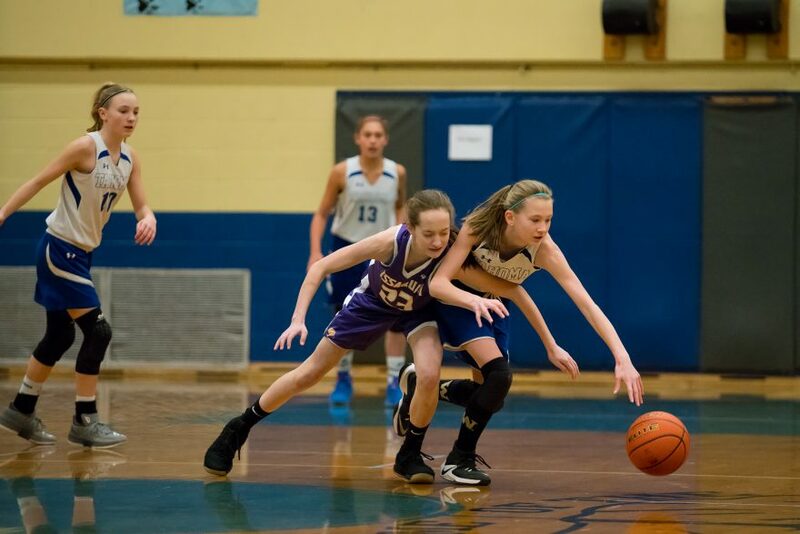 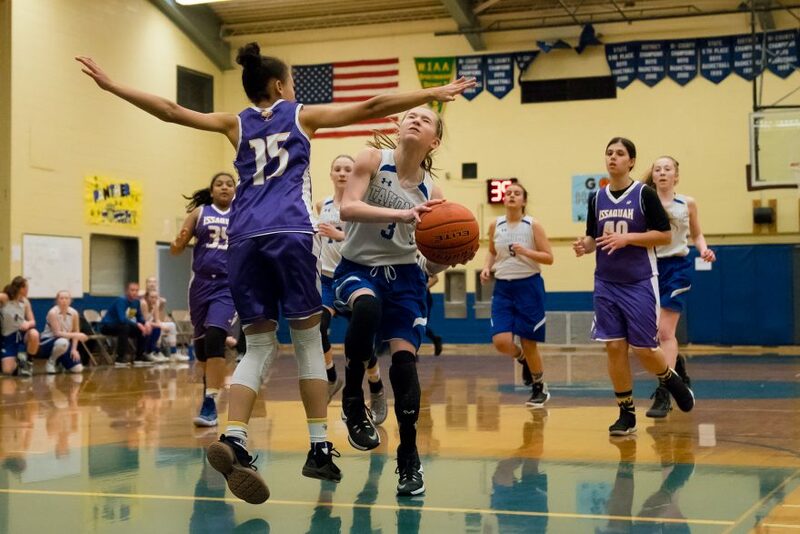 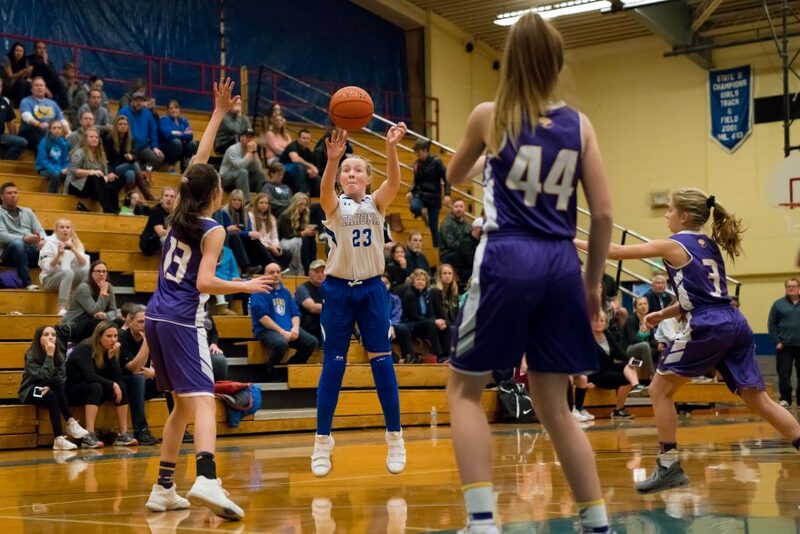 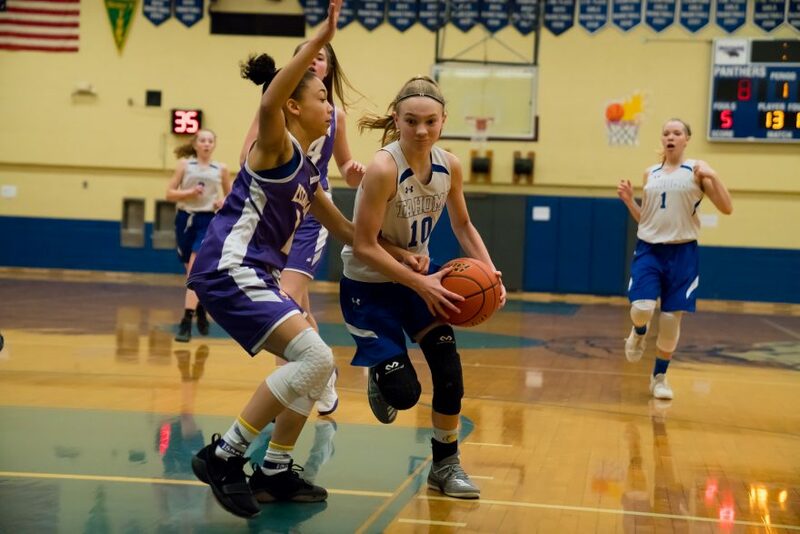 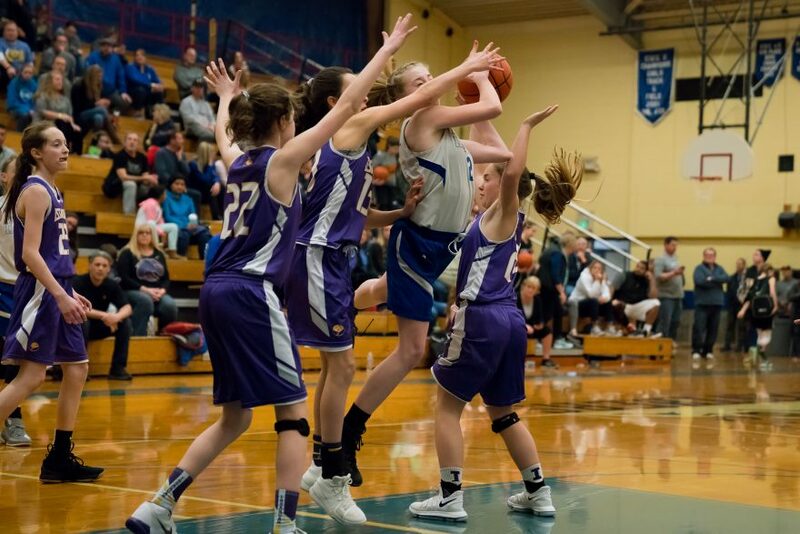 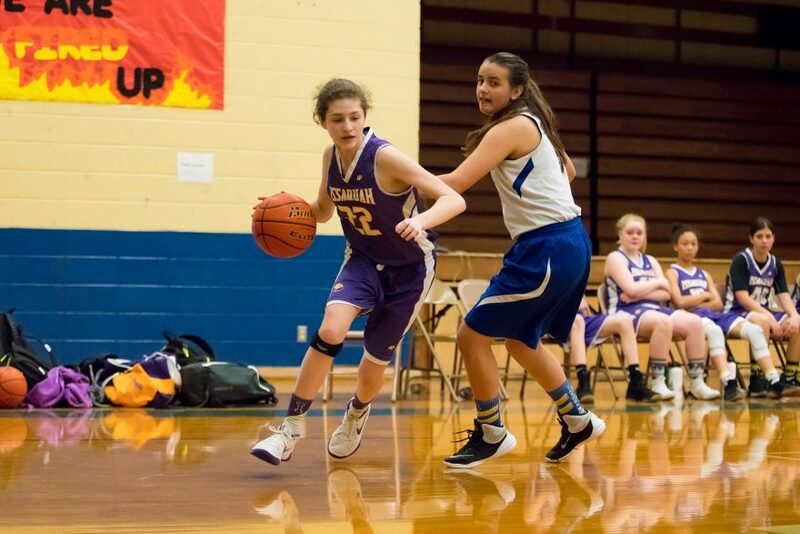 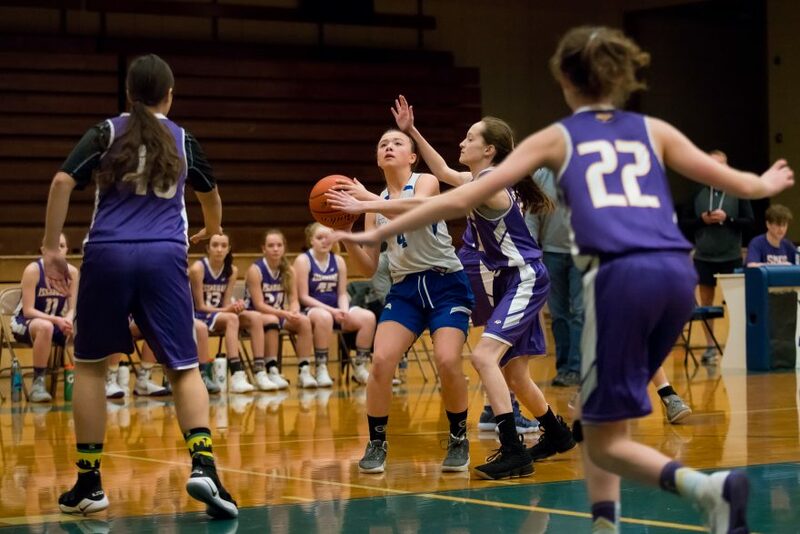 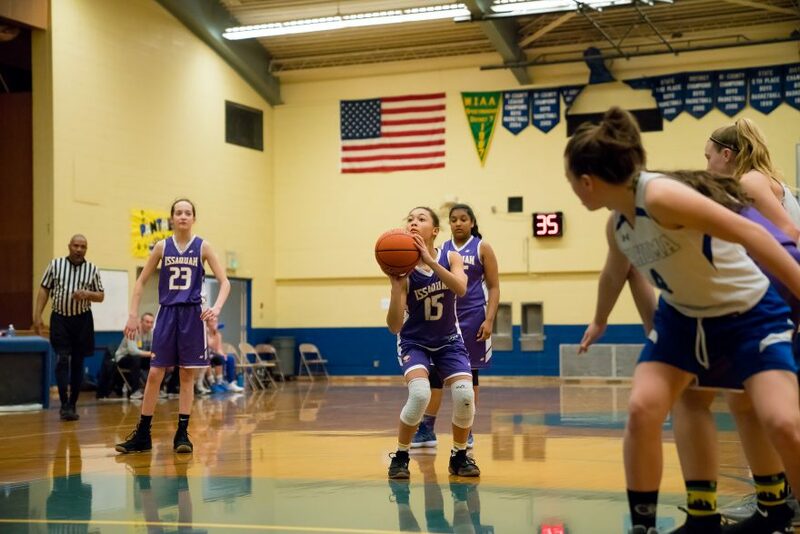 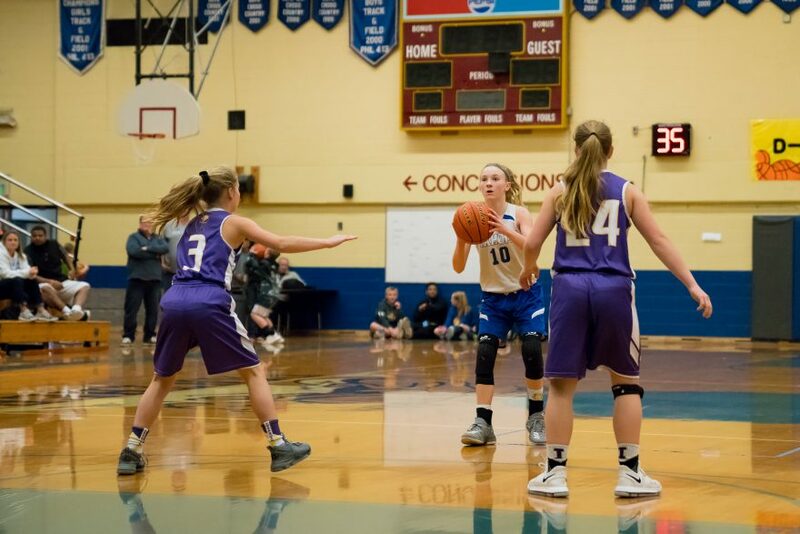 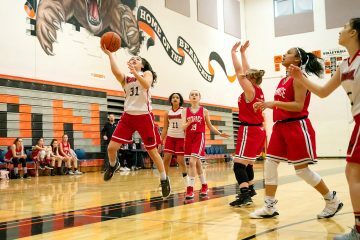 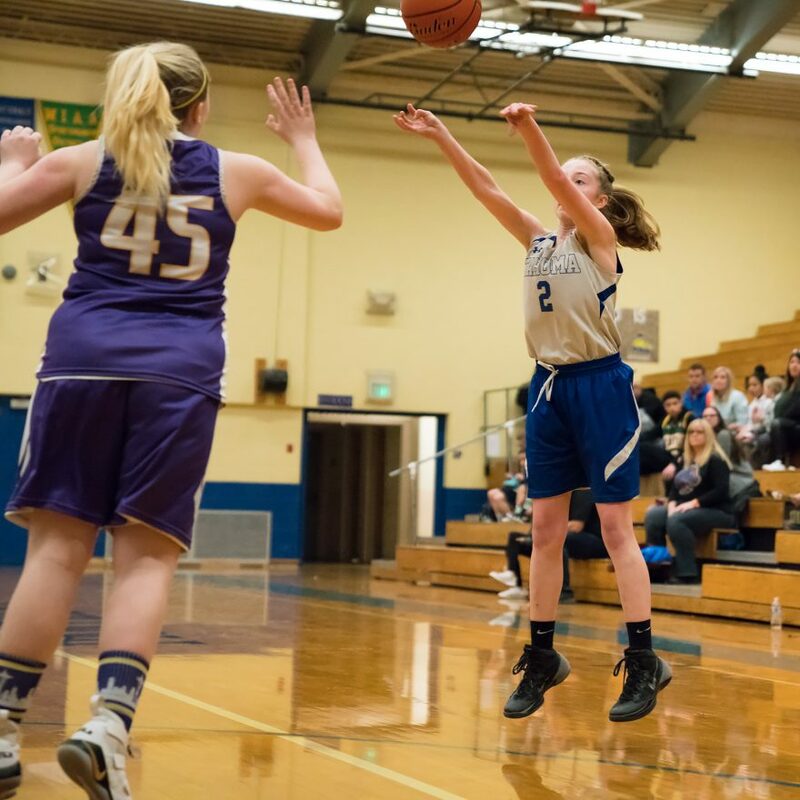 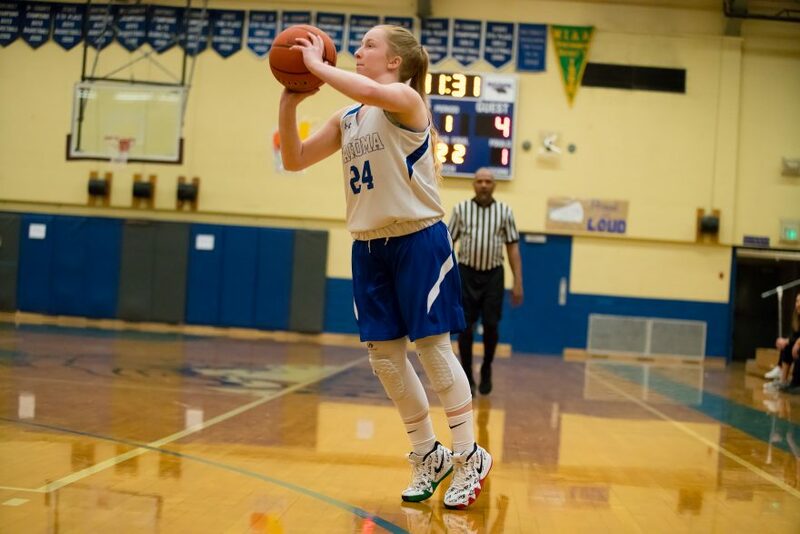 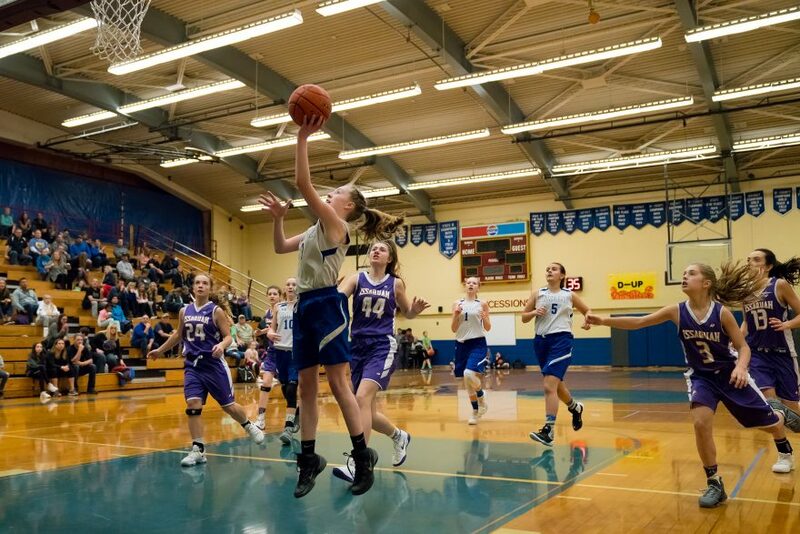 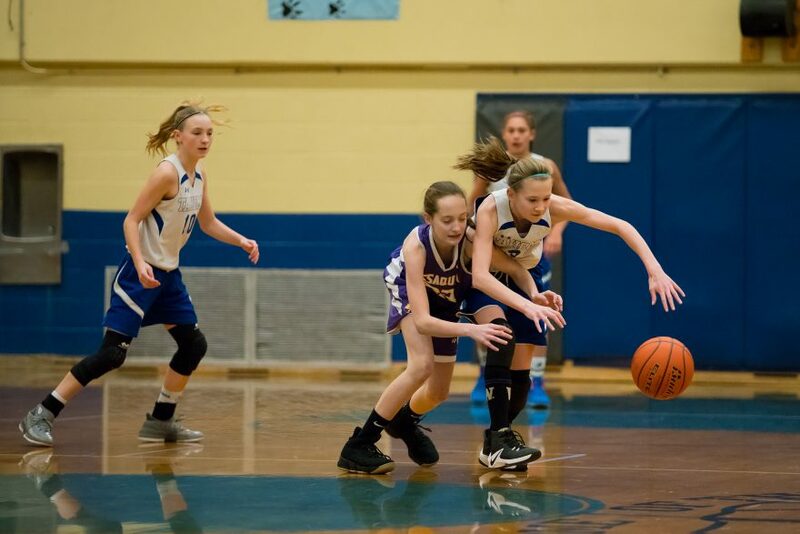 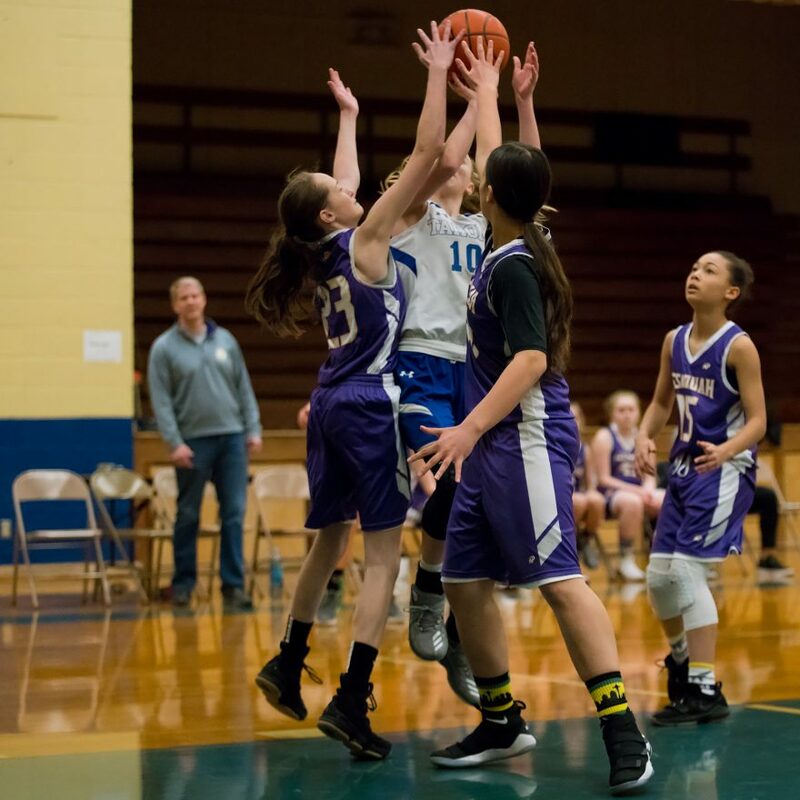 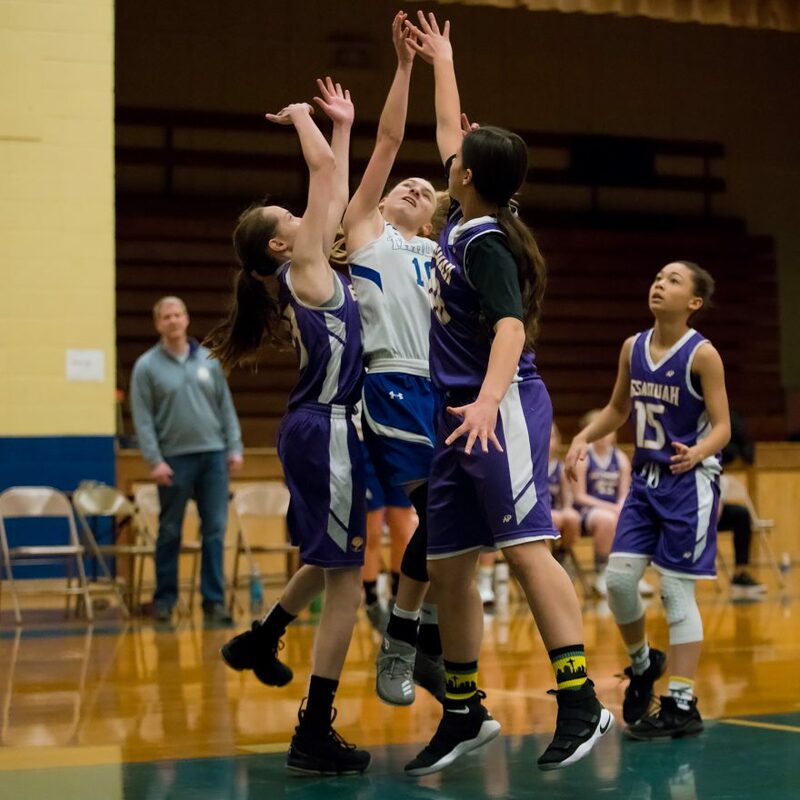 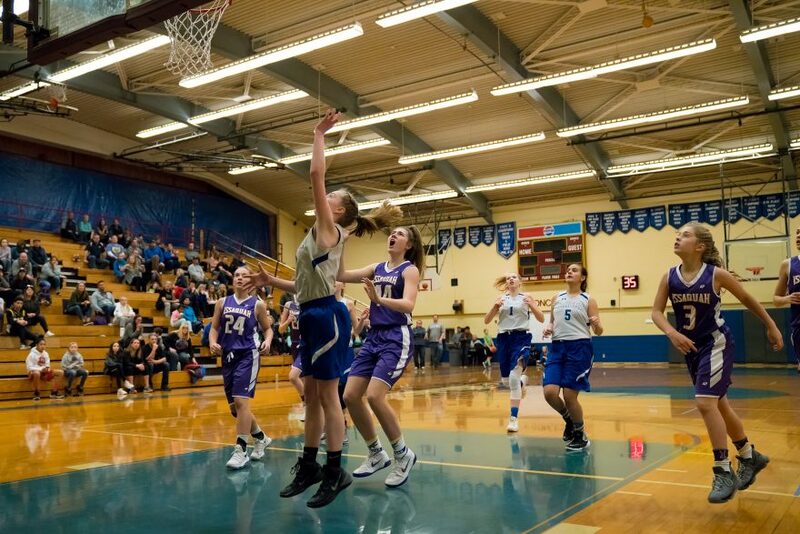 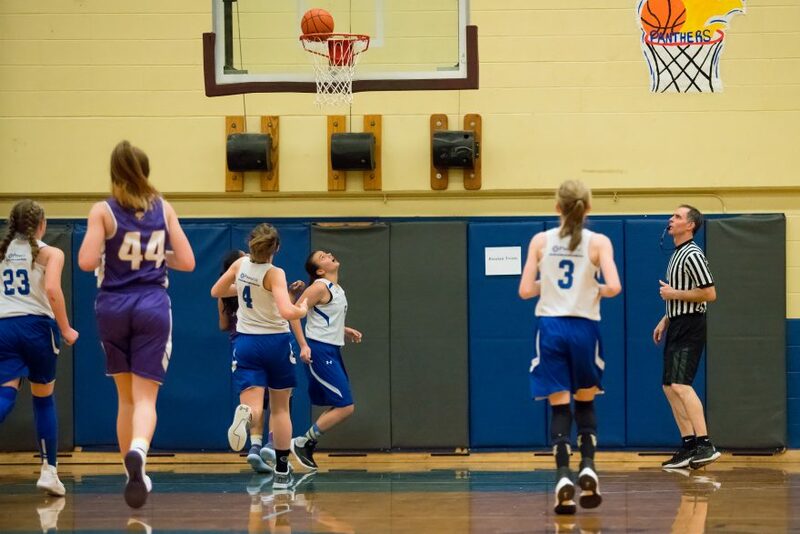 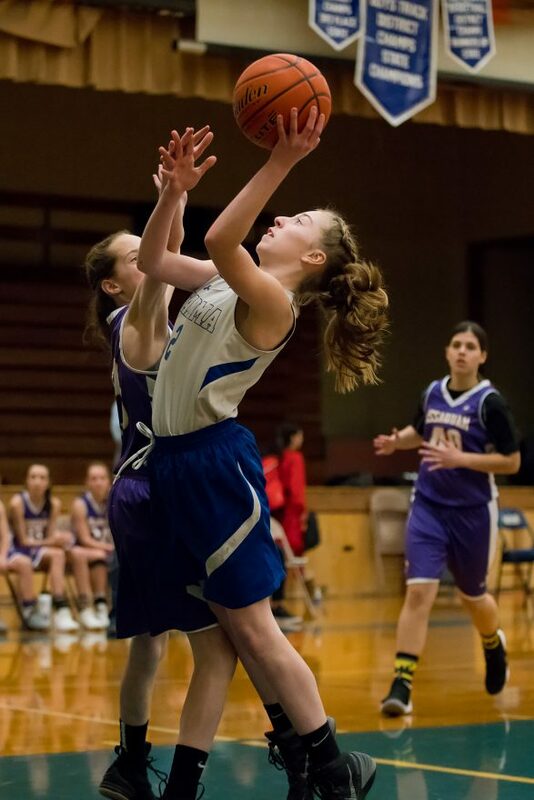 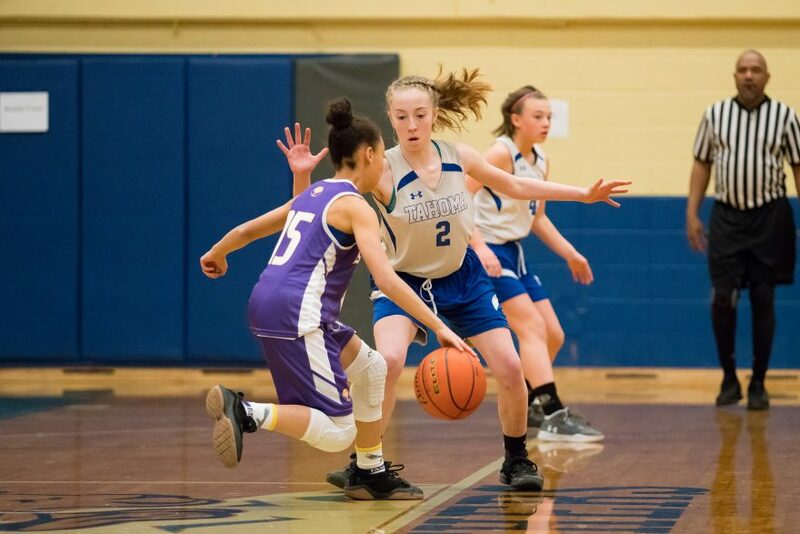 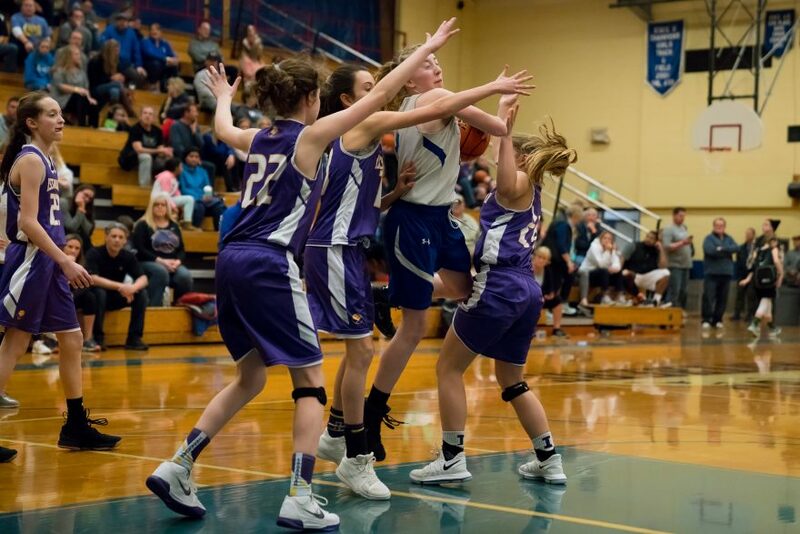 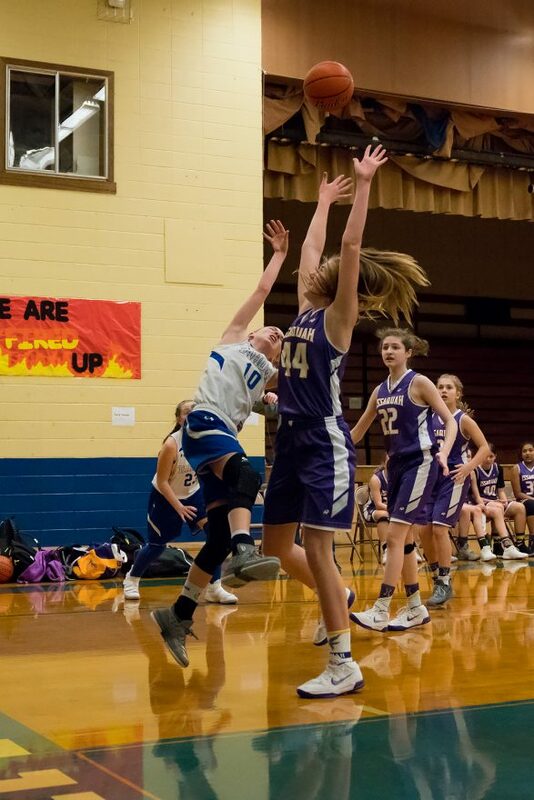 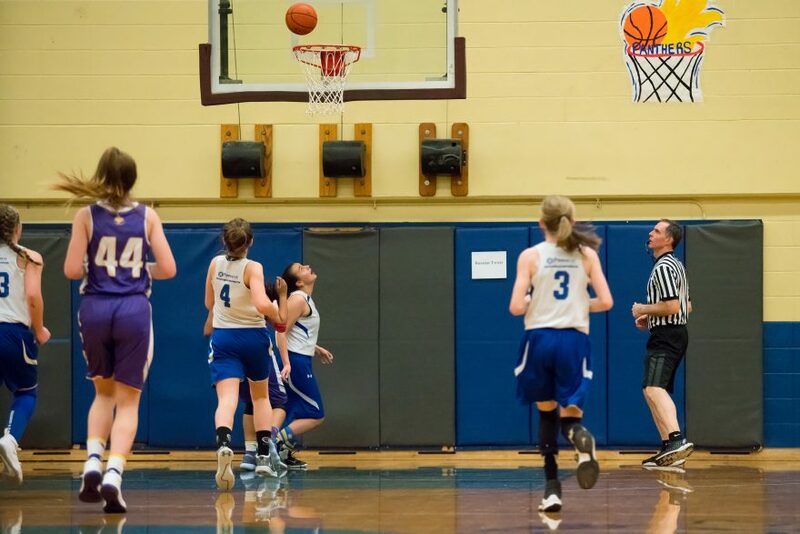 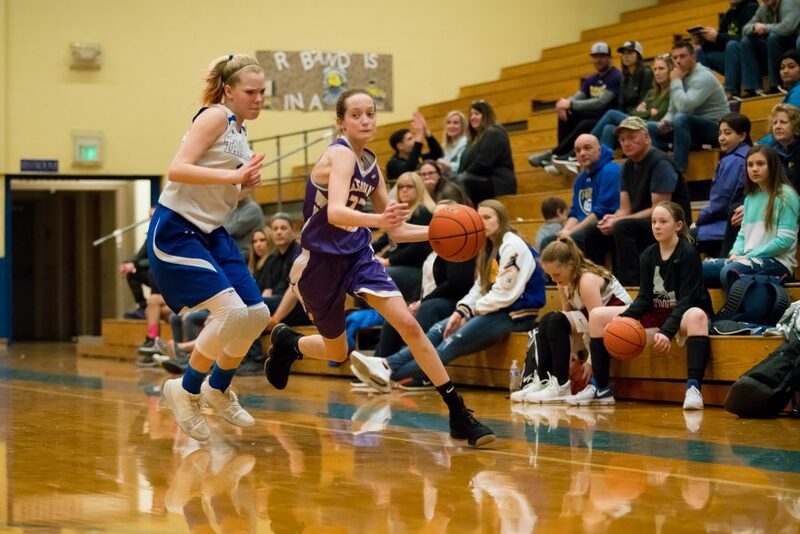 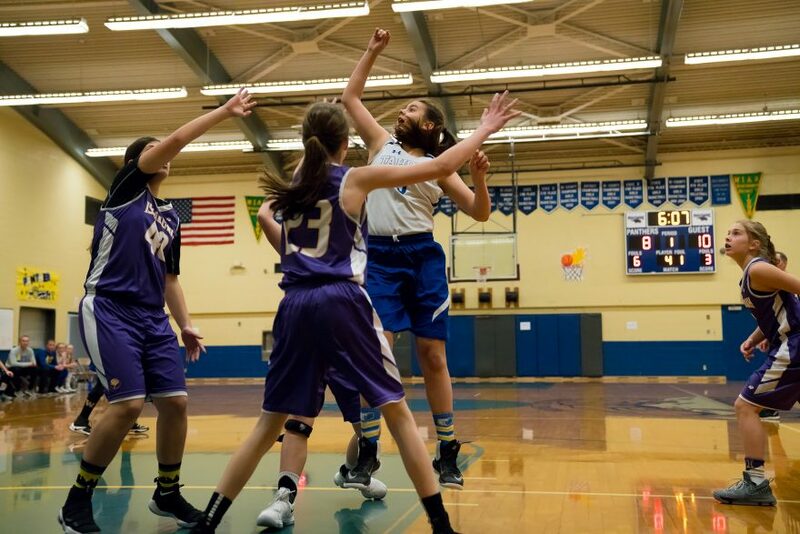 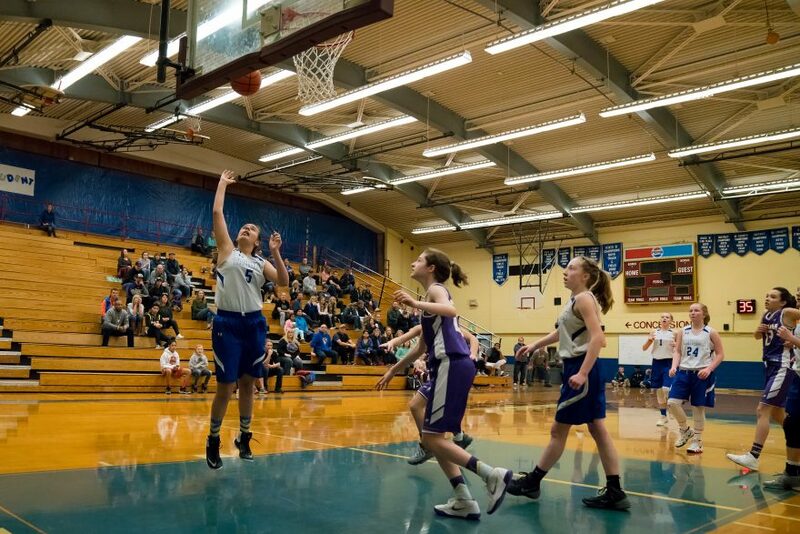 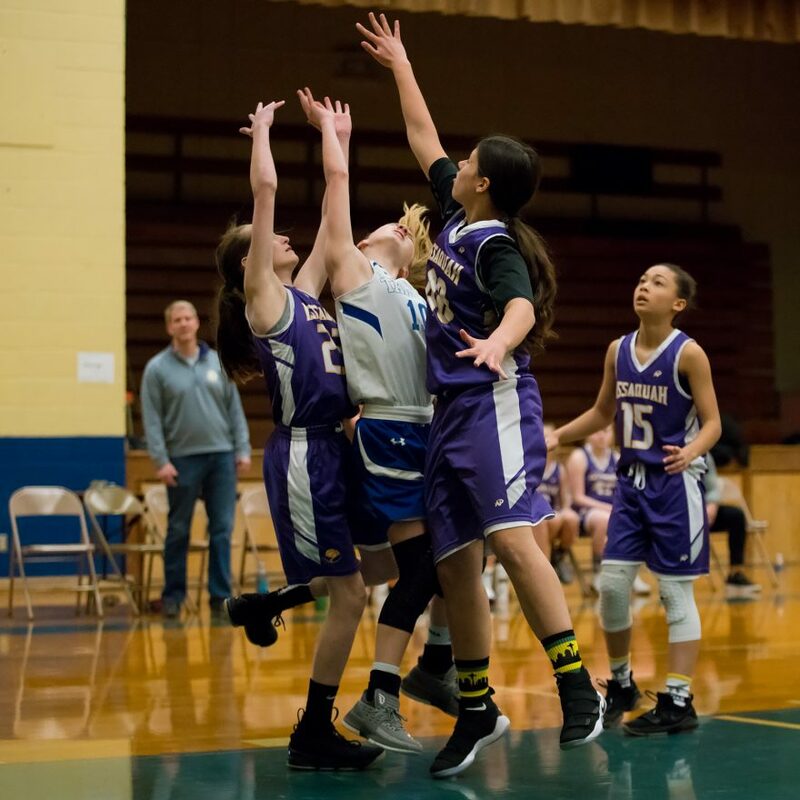 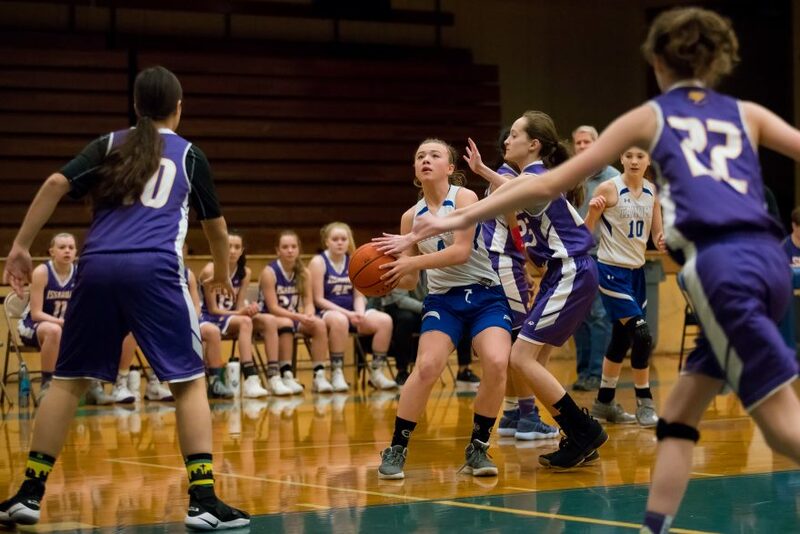 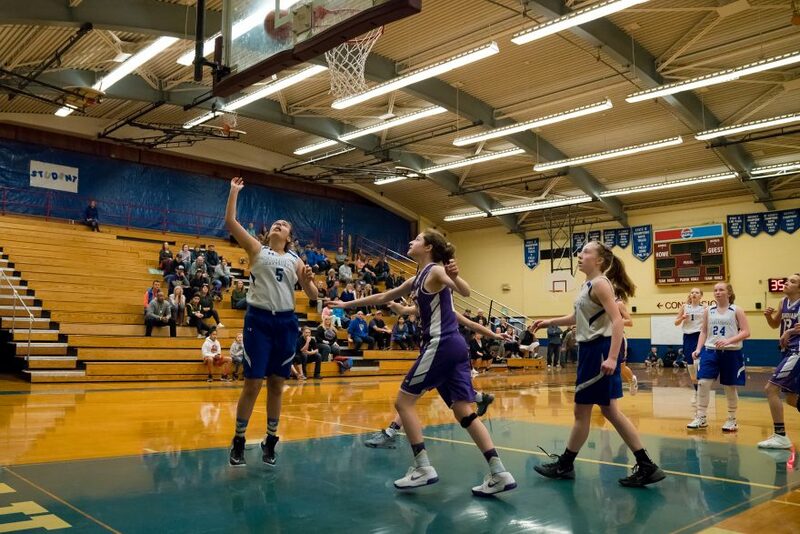 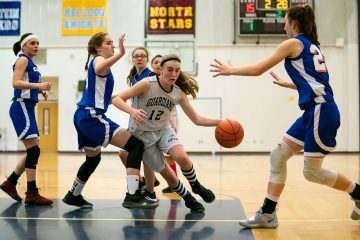 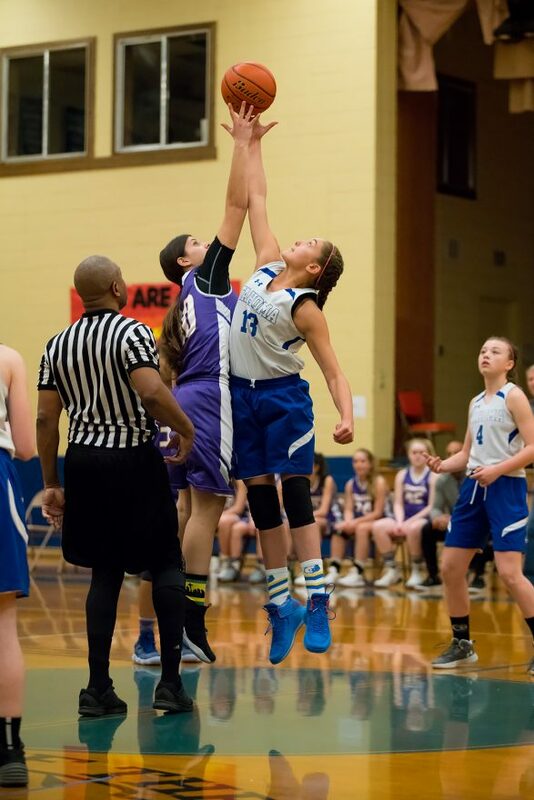 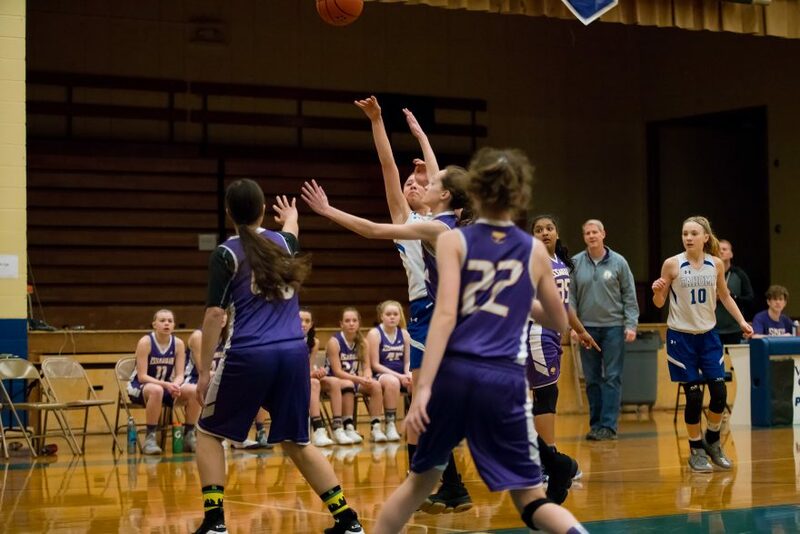 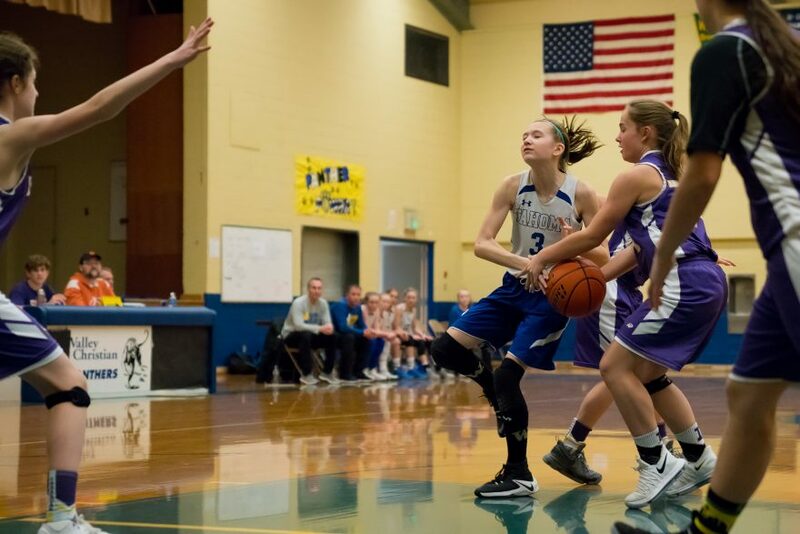 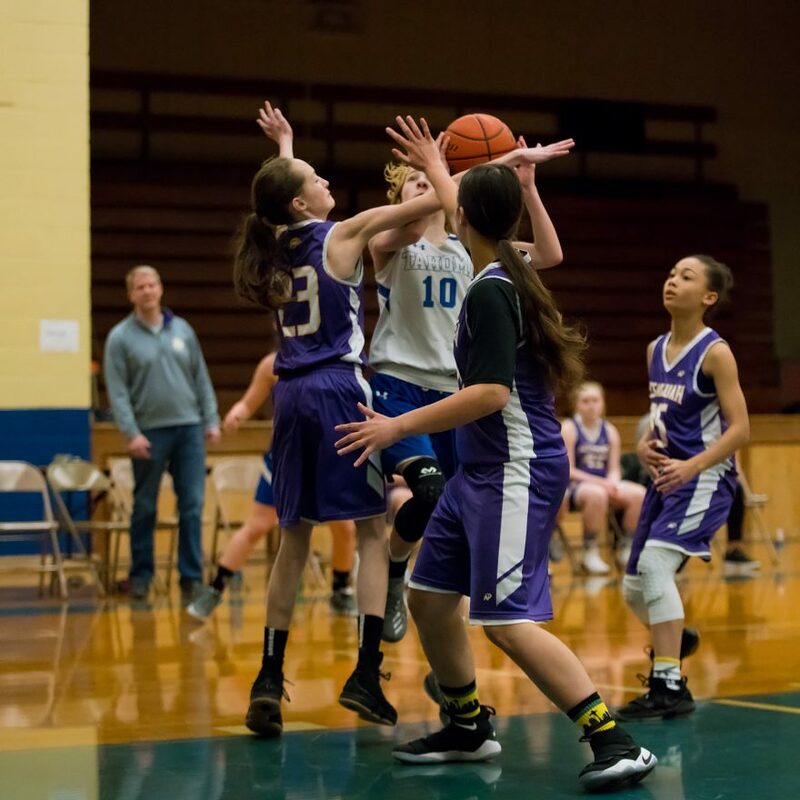 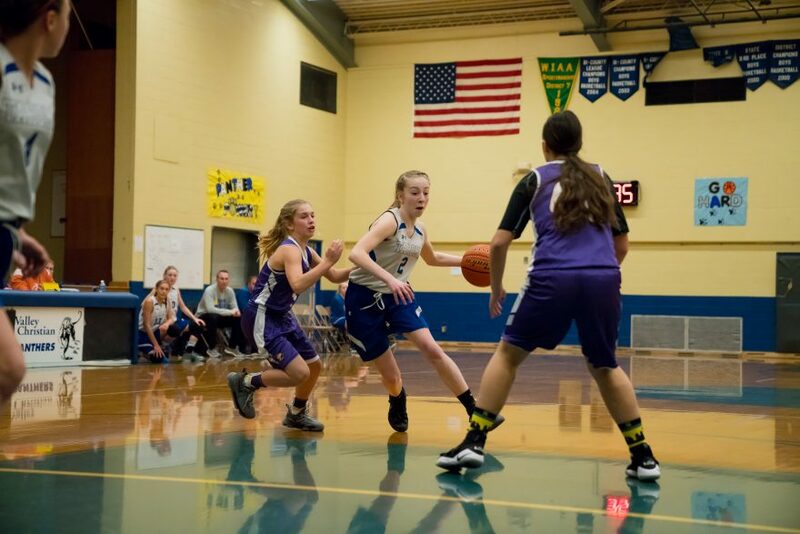 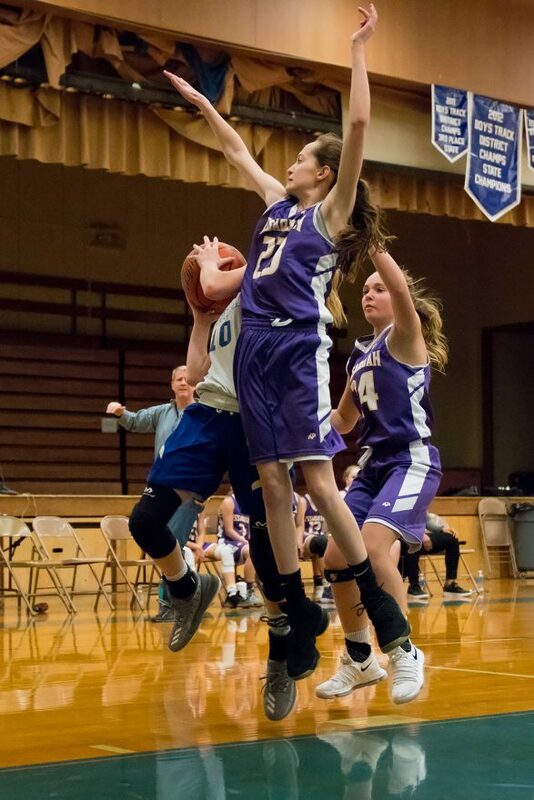 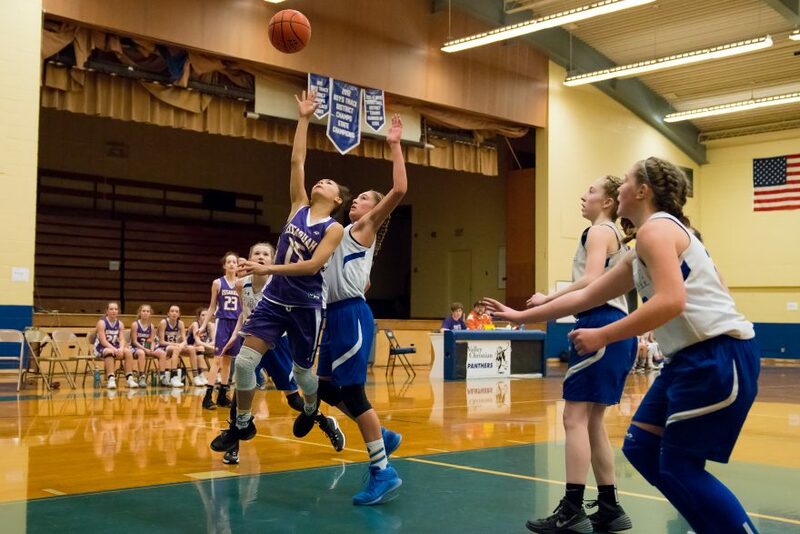 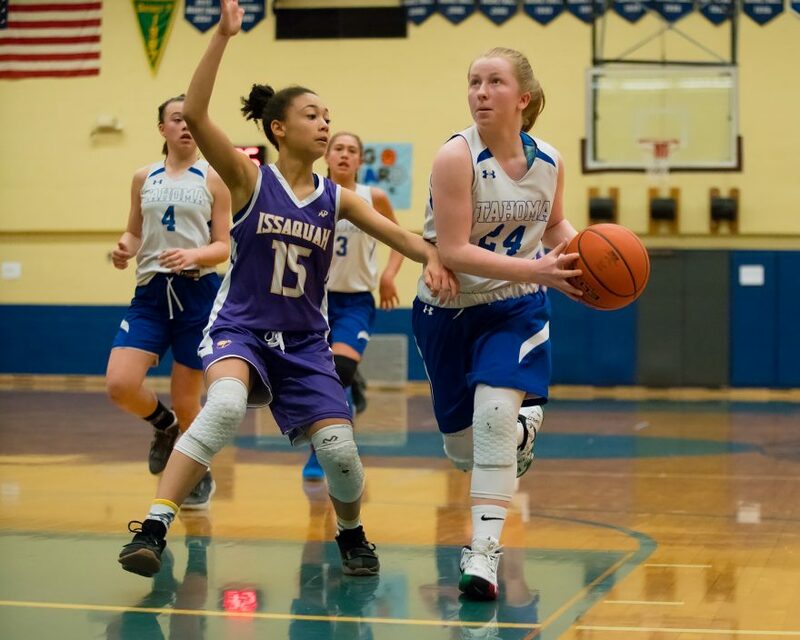 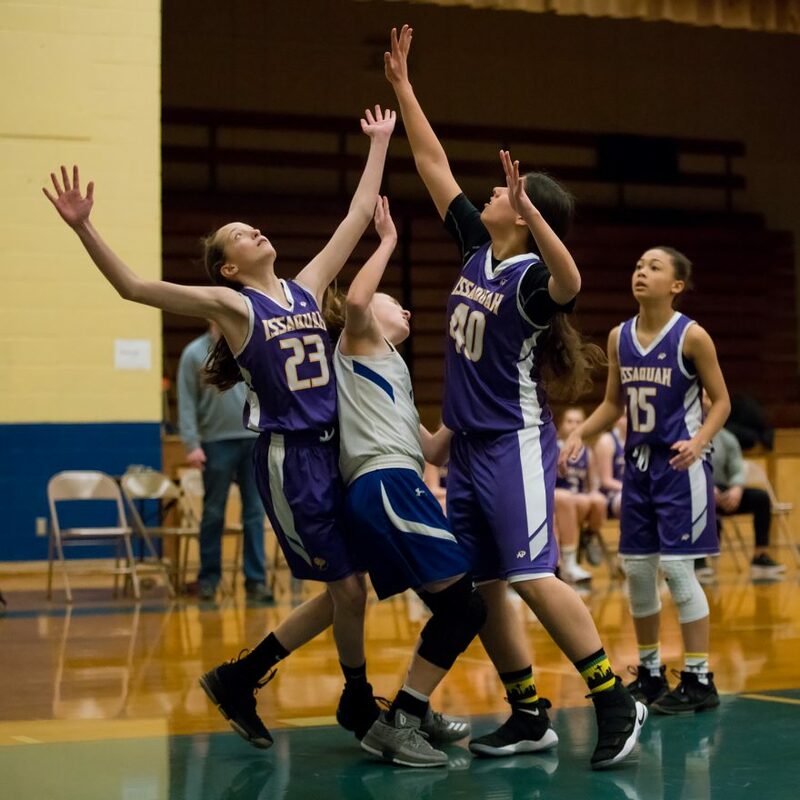 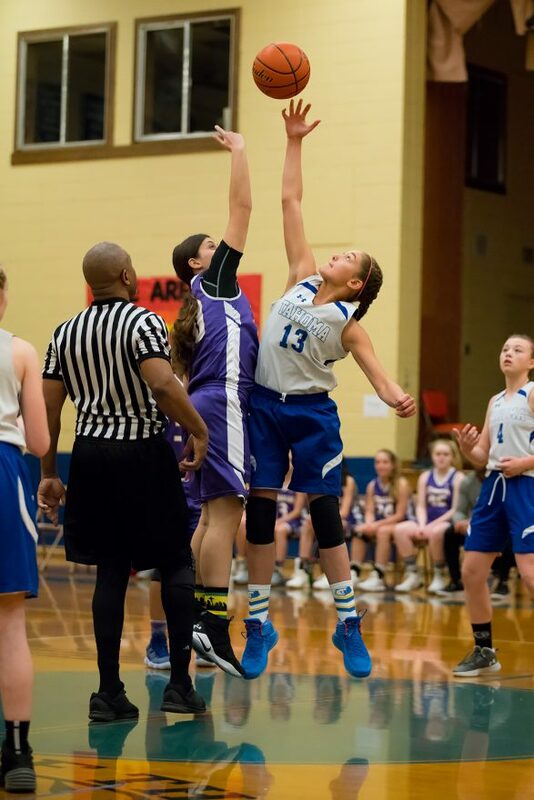 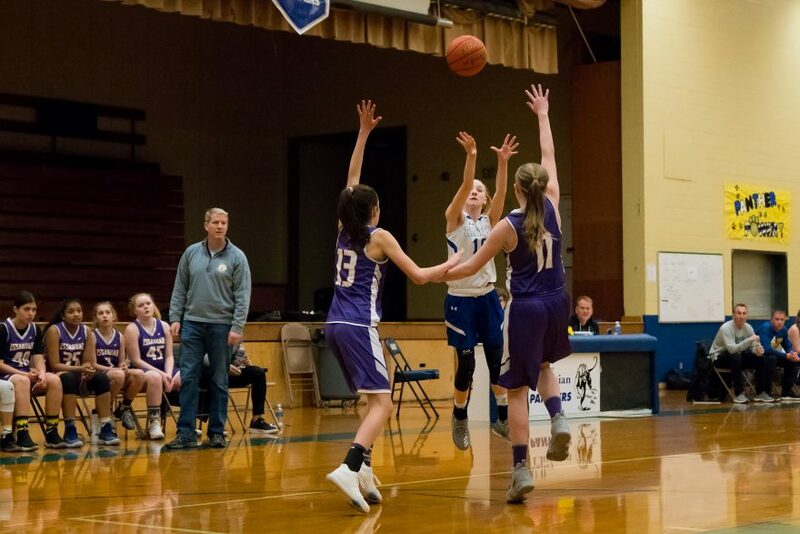 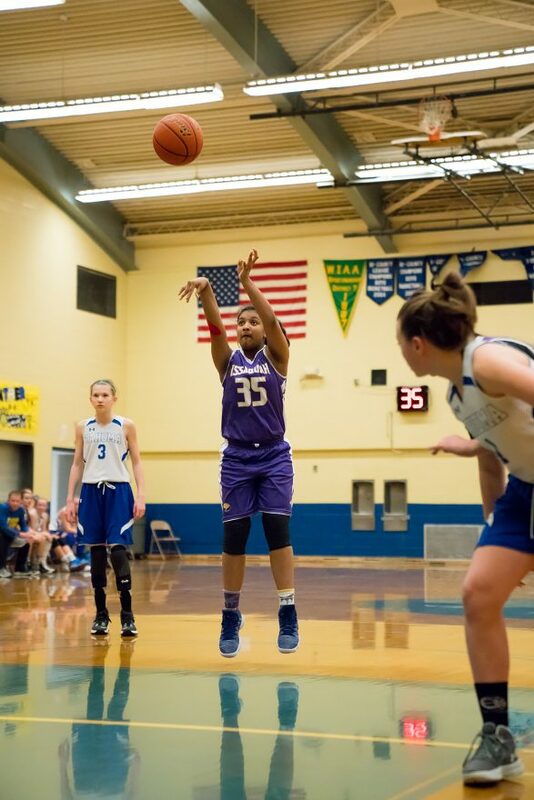 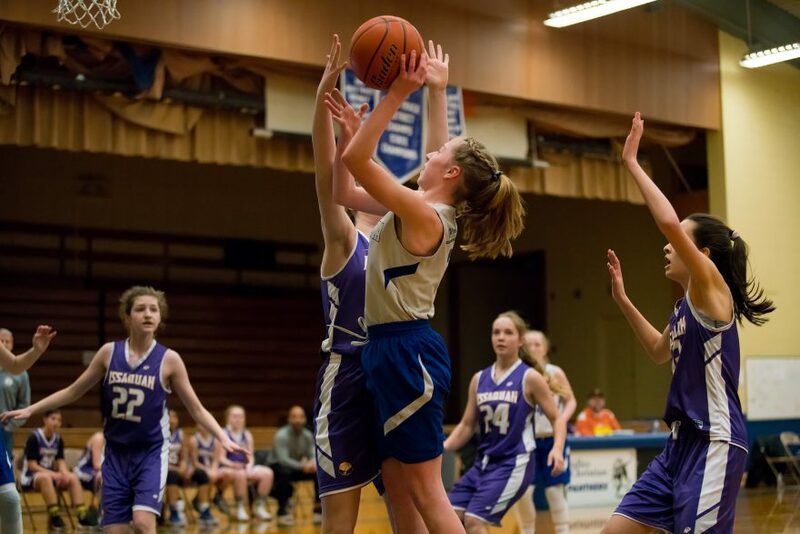 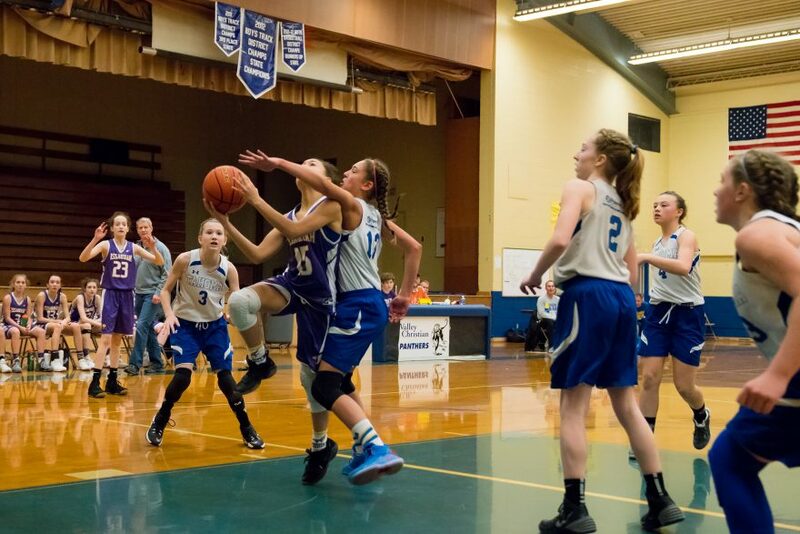 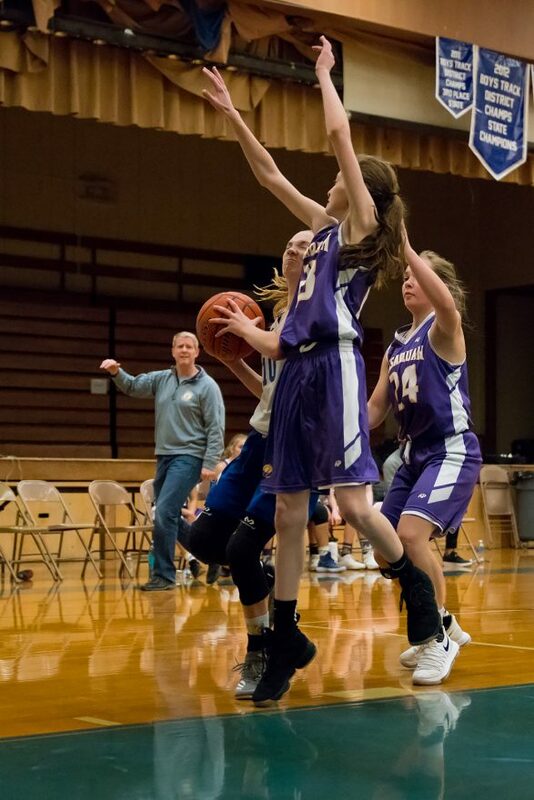 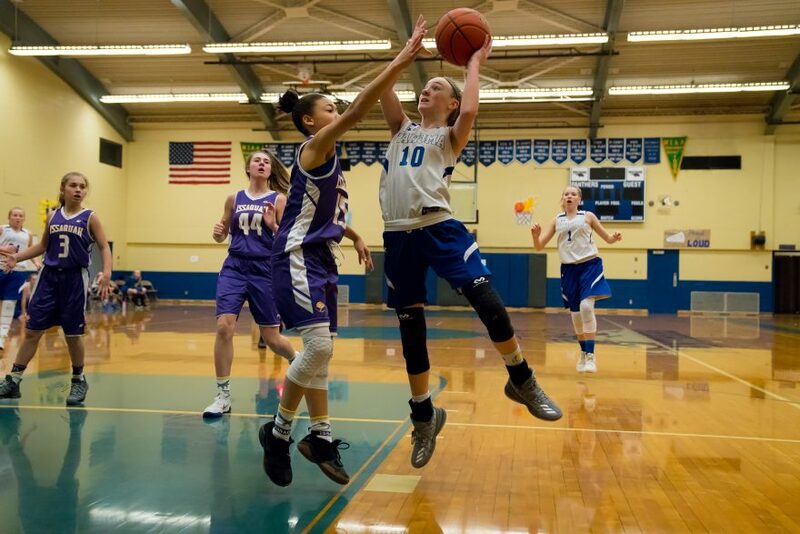 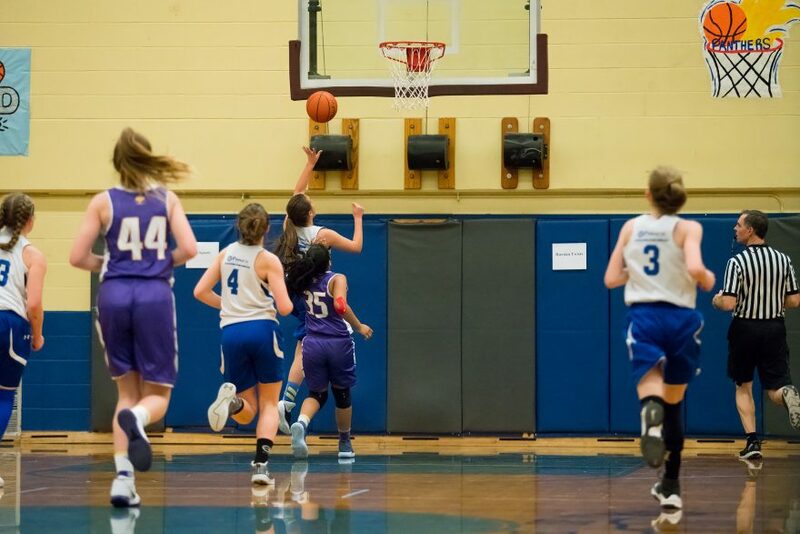 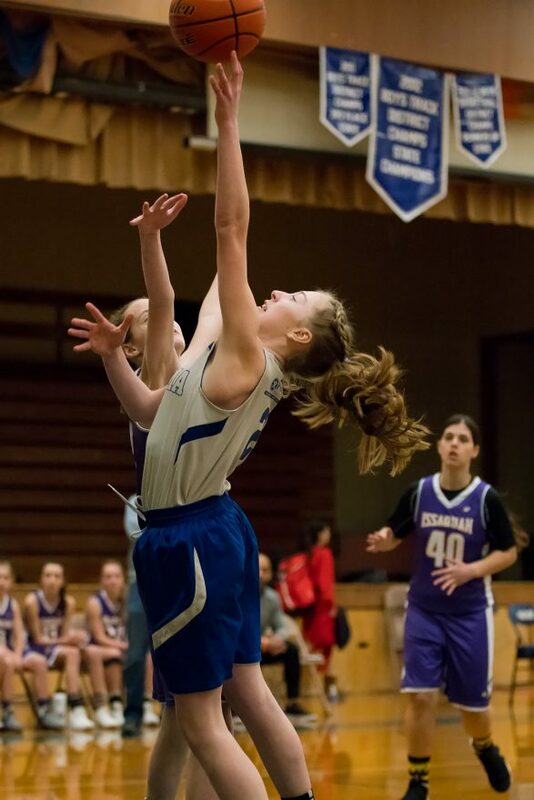 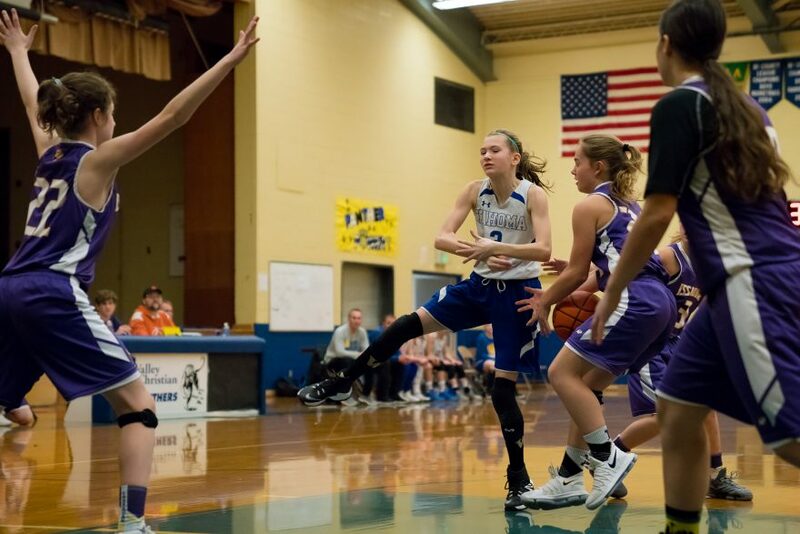 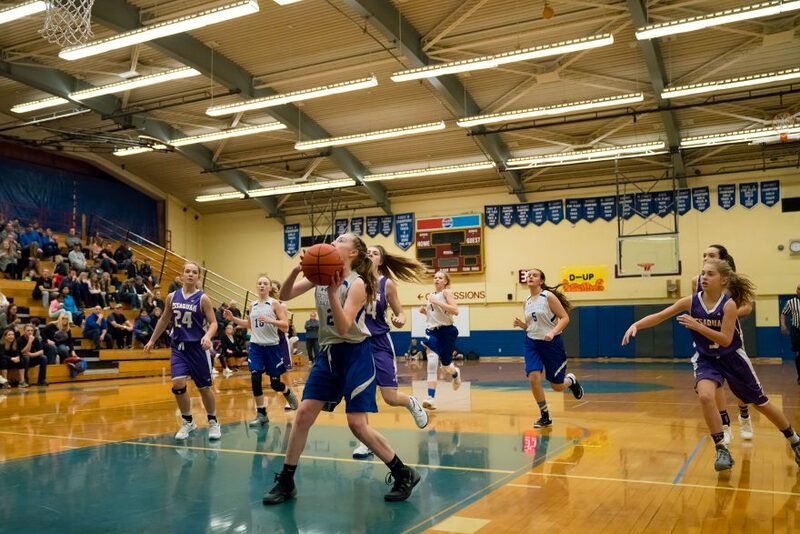 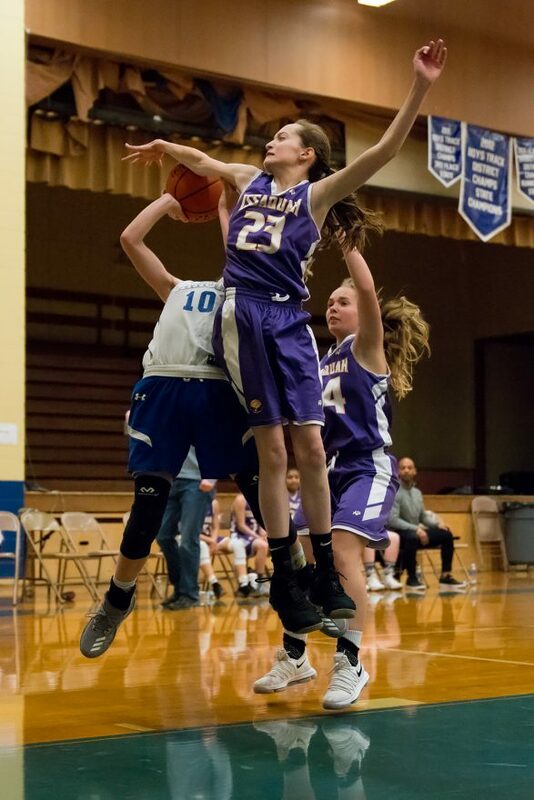 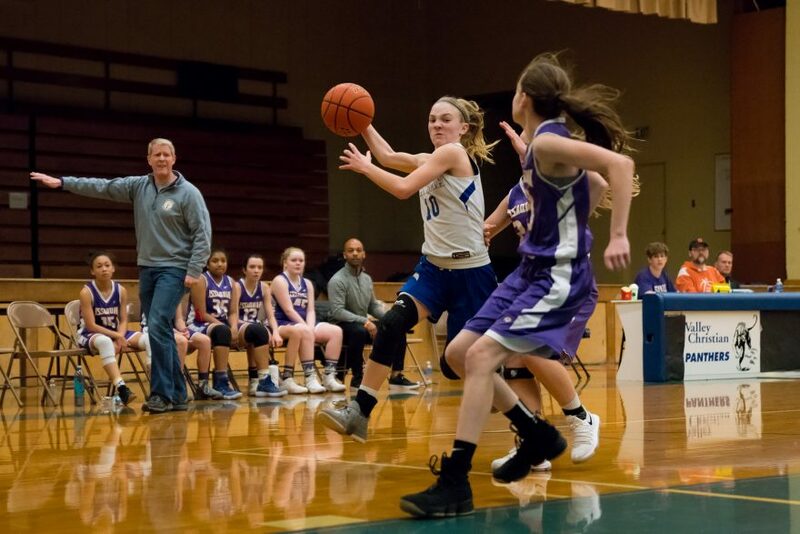 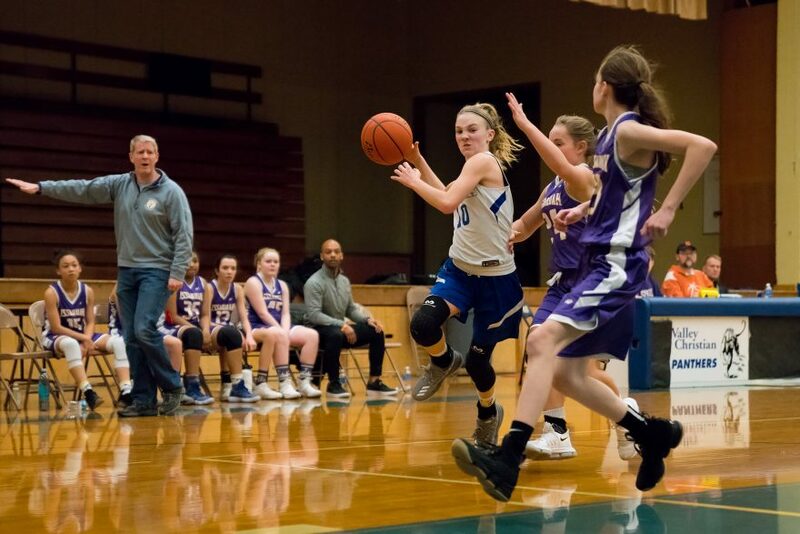 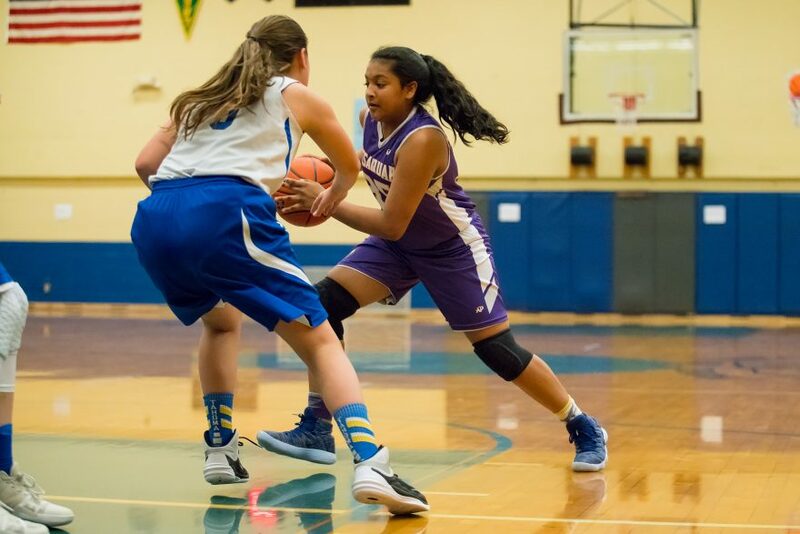 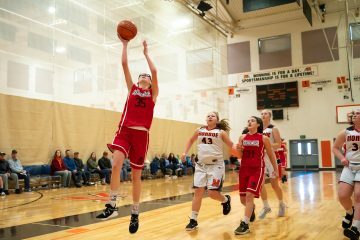 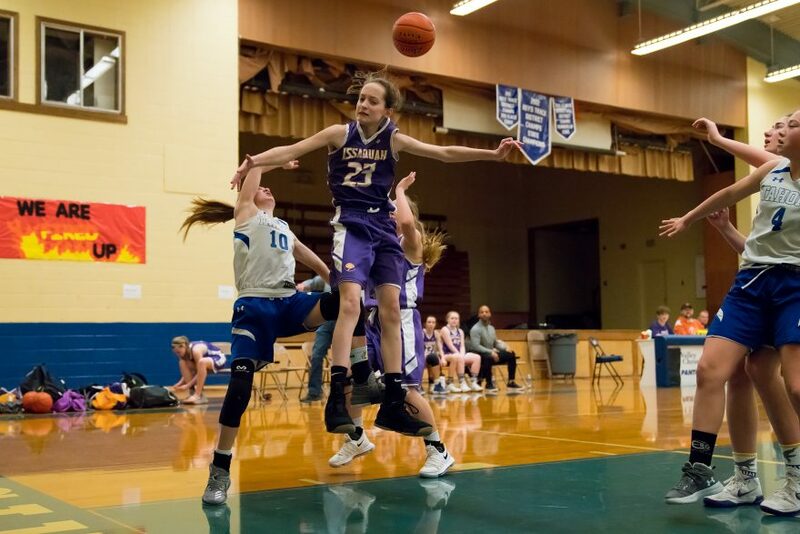 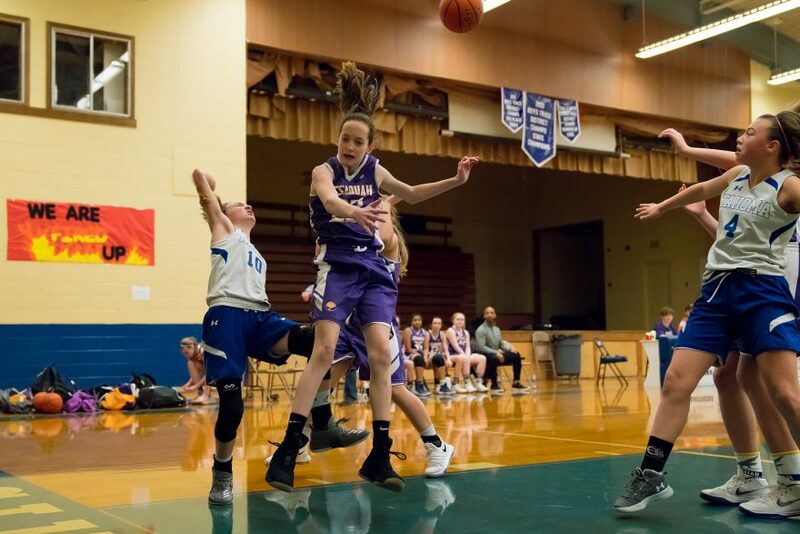 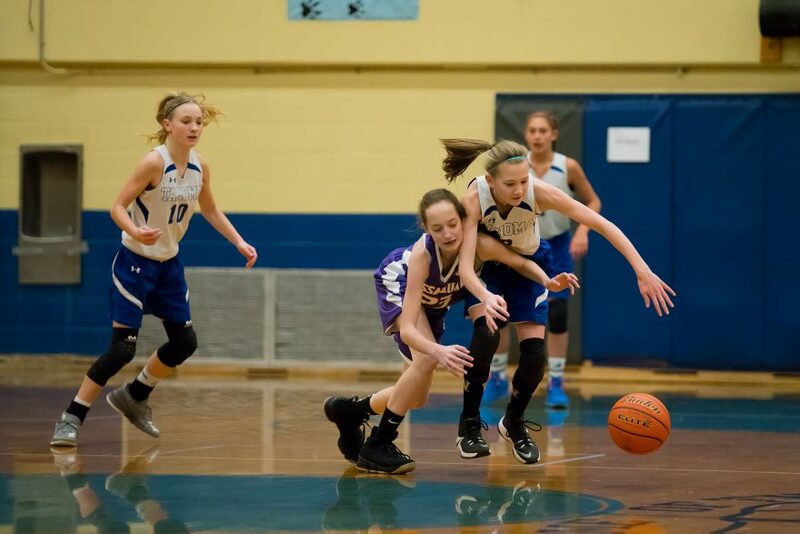 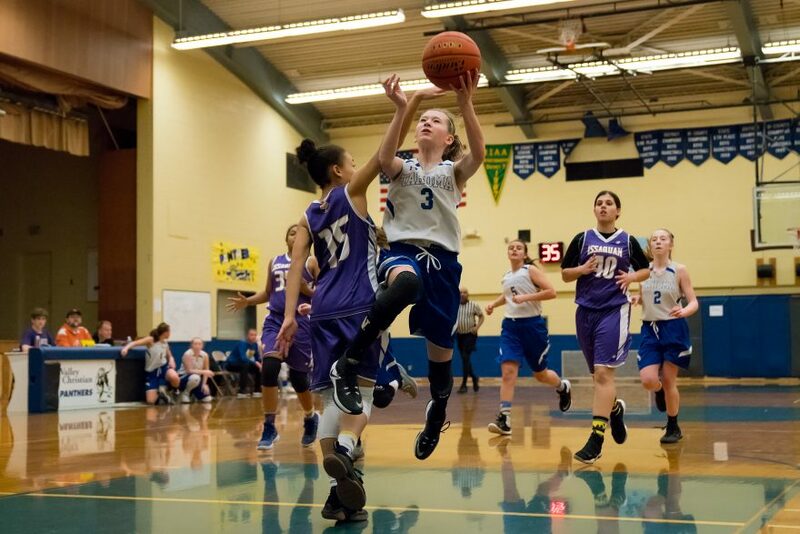 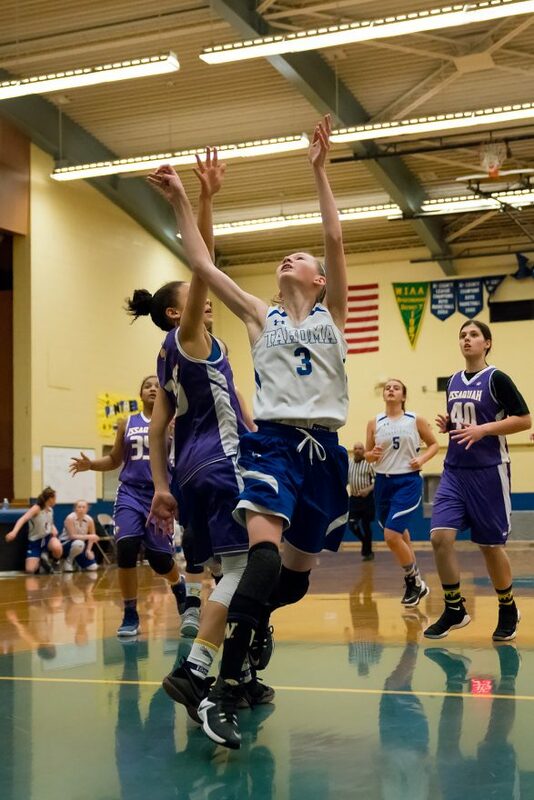 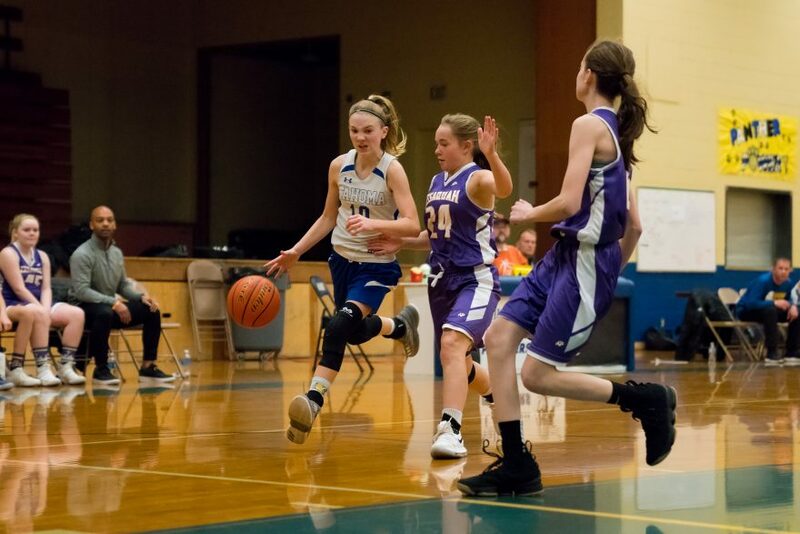 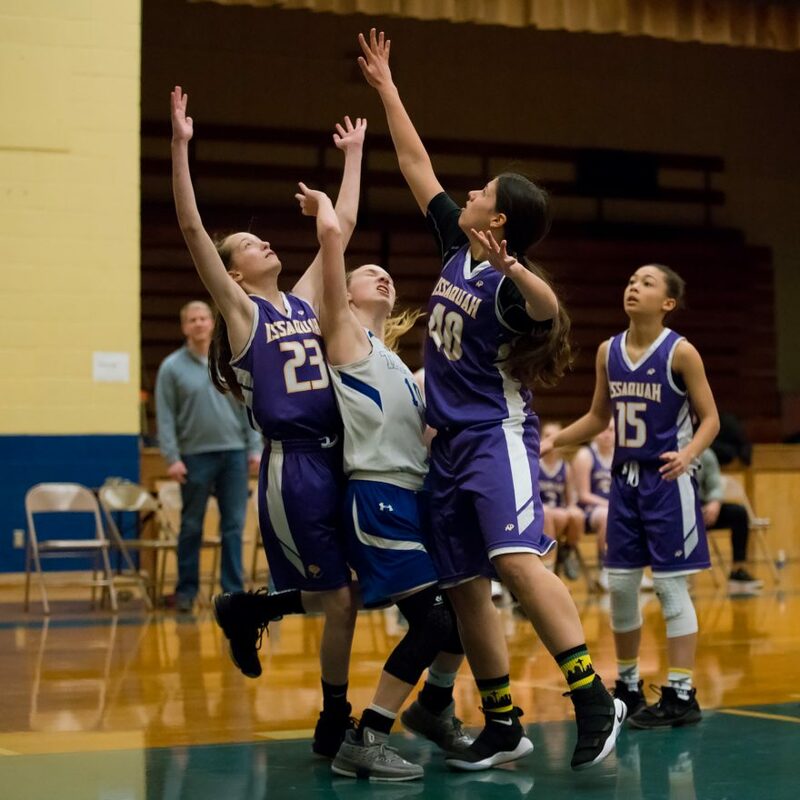 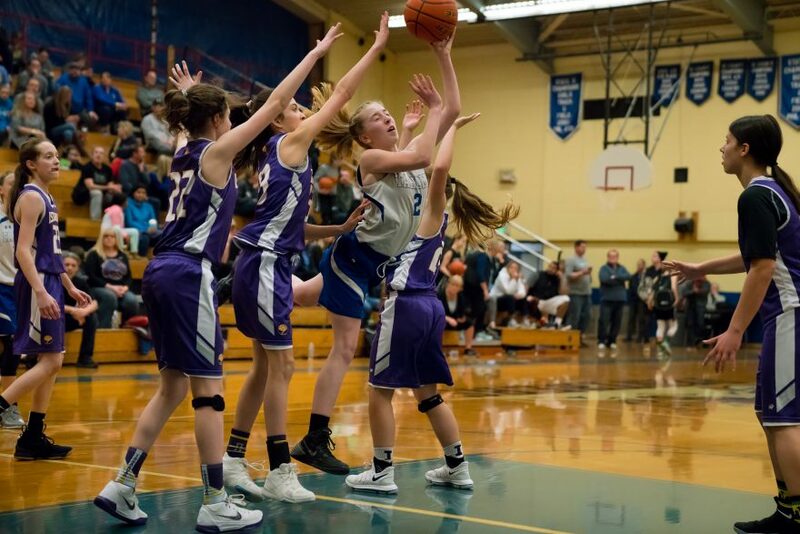 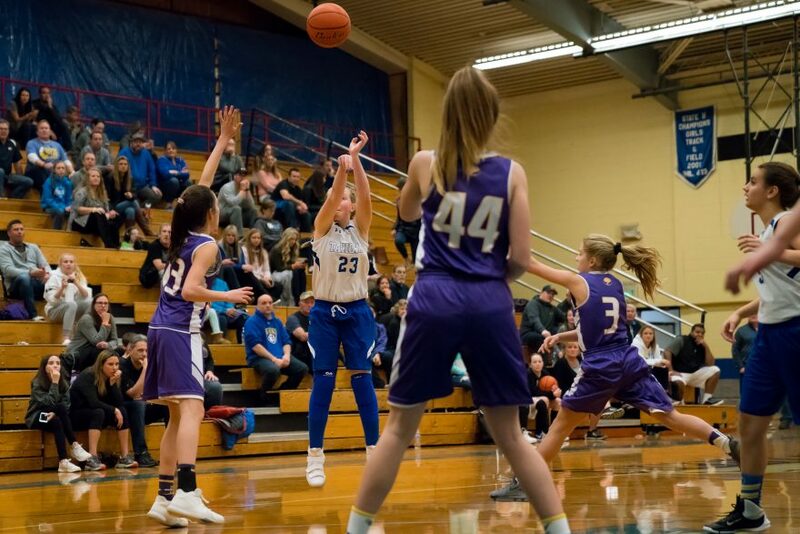 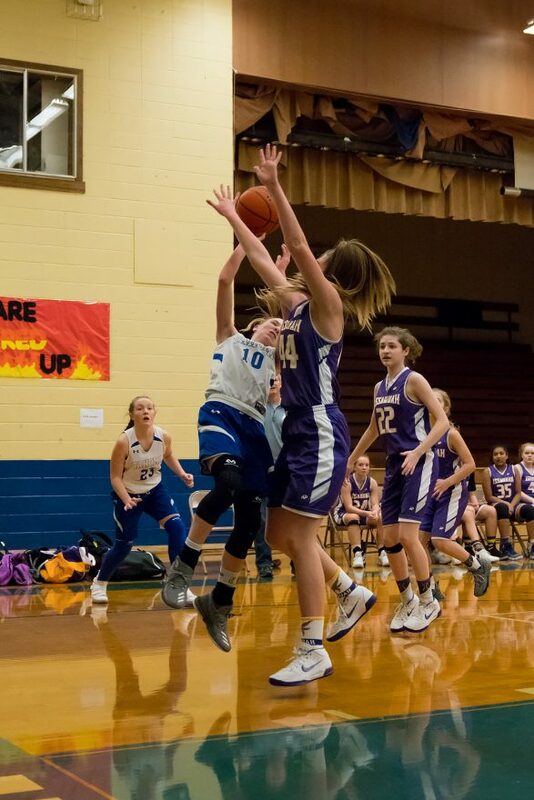 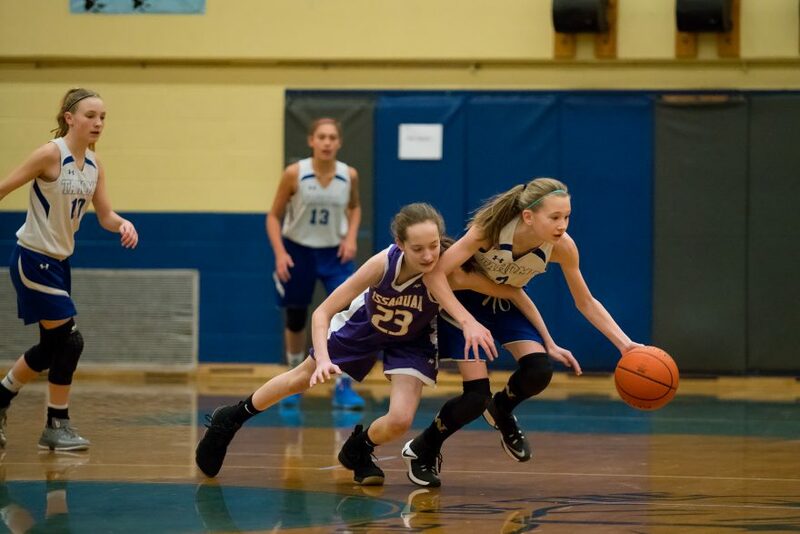 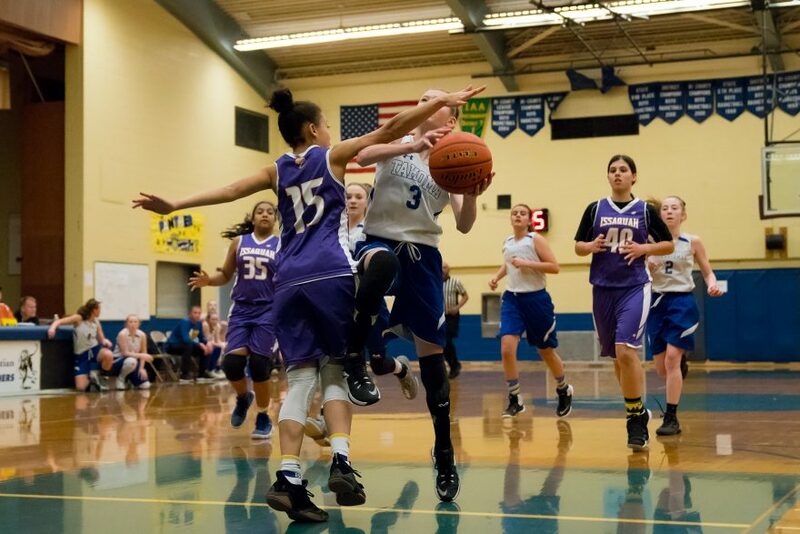 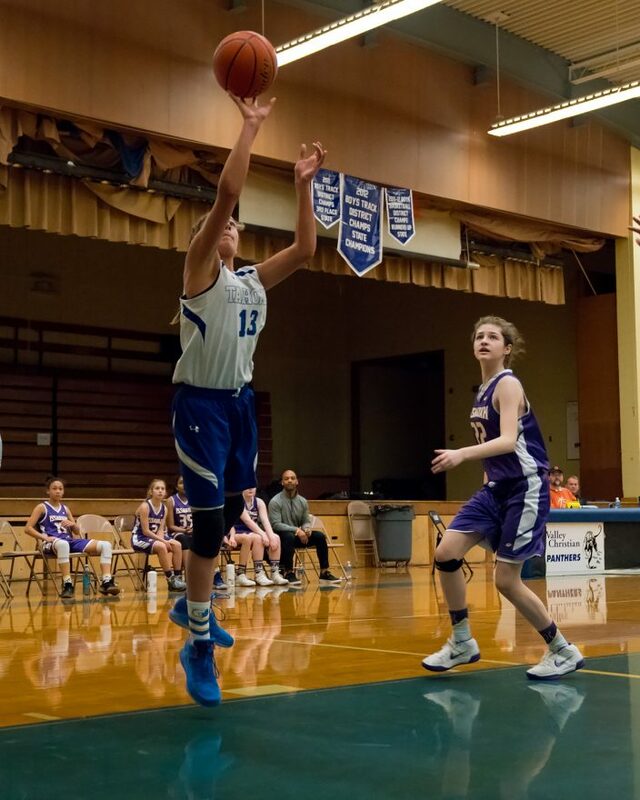 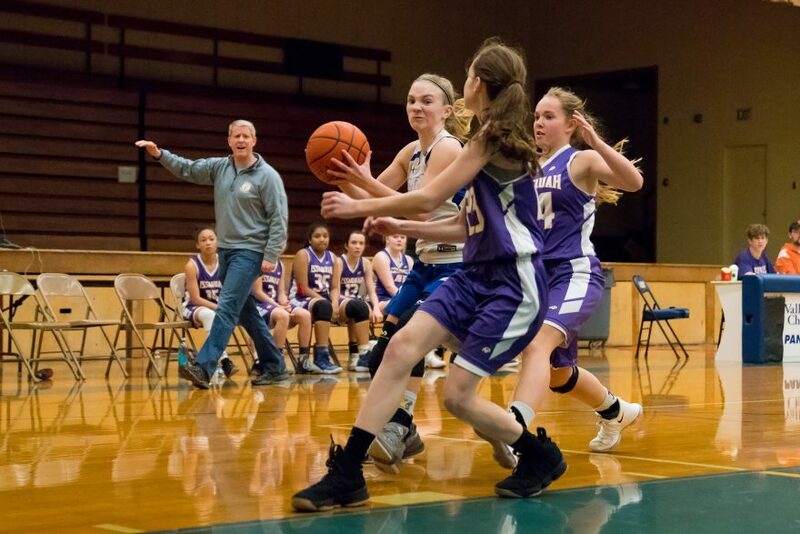 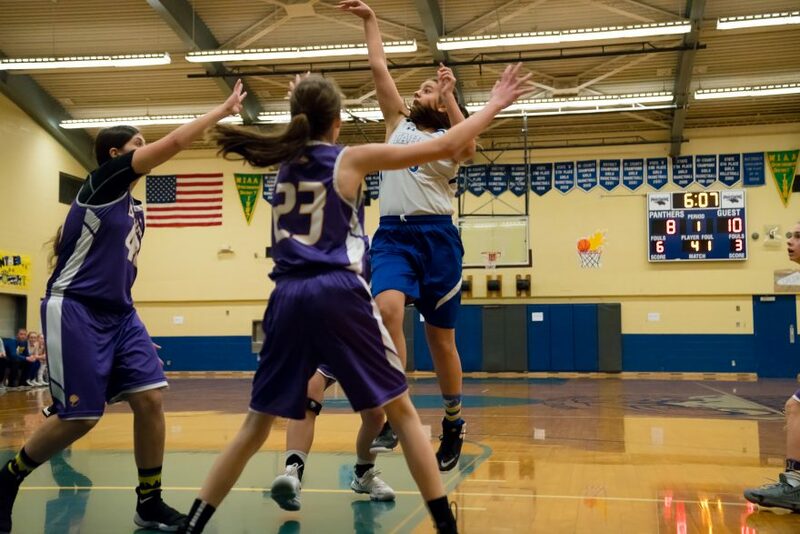 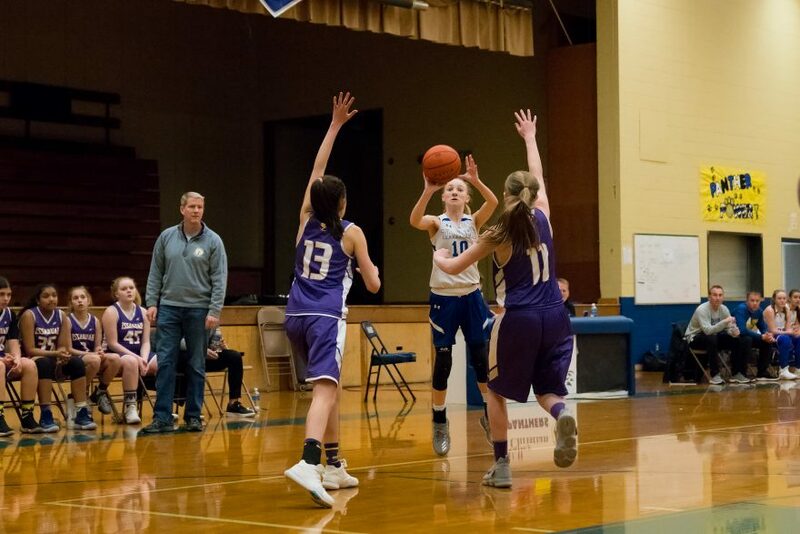 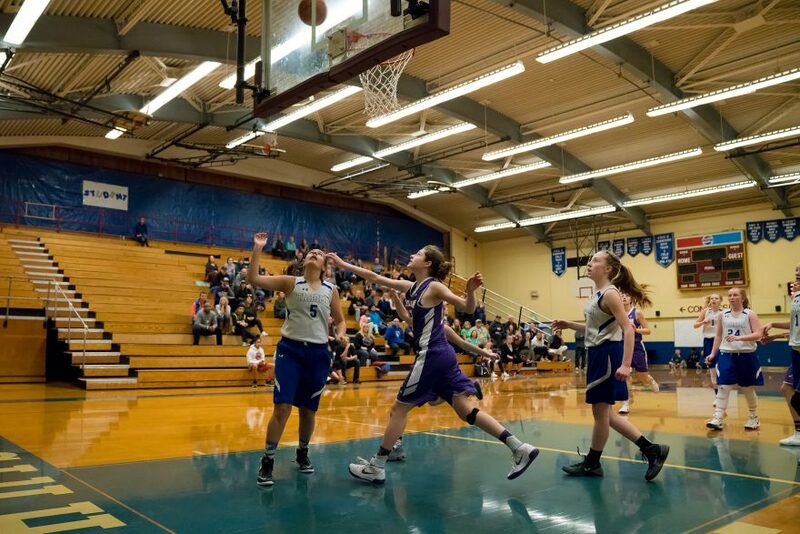 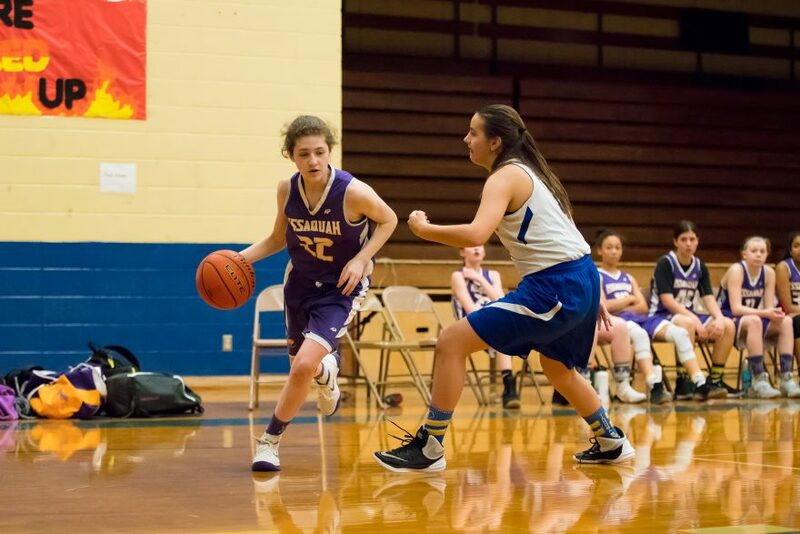 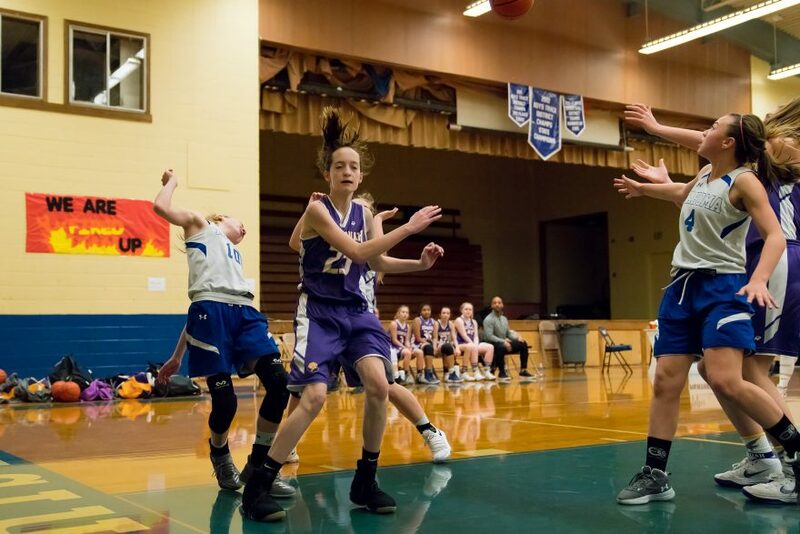 Under the yellow lights of the Valley Christian gym on Saturday afternoon, the Tahoma 7th grade girls faced off against a strong team from Issaquah. 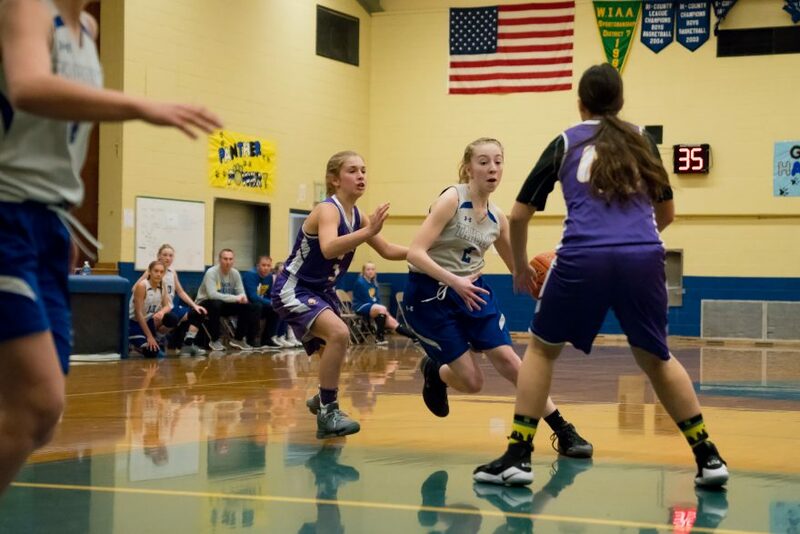 Through the opening minutes of the game, it looked as though the game would be a close one: Tahoma scored early, but the Eagles evened the score up at 8-8 and again at 10-10. 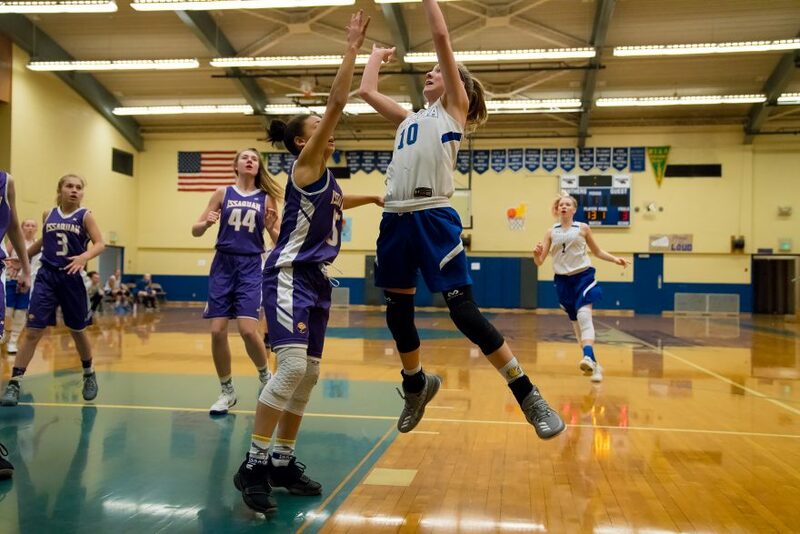 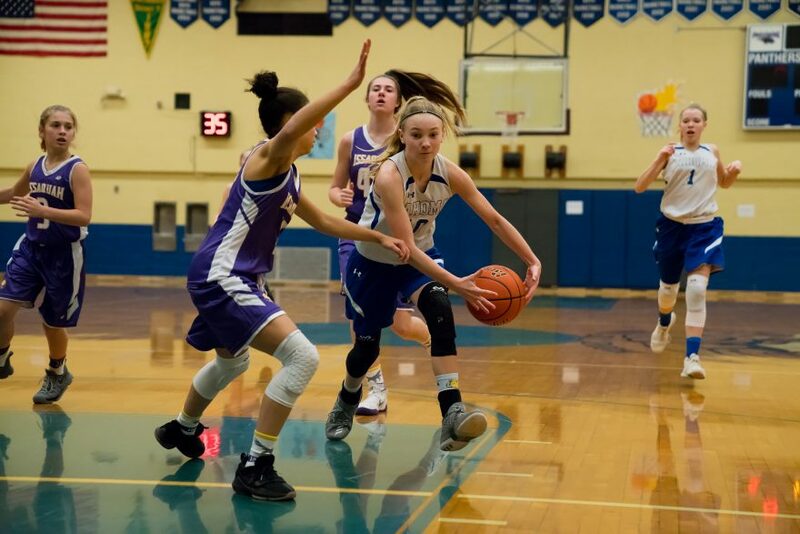 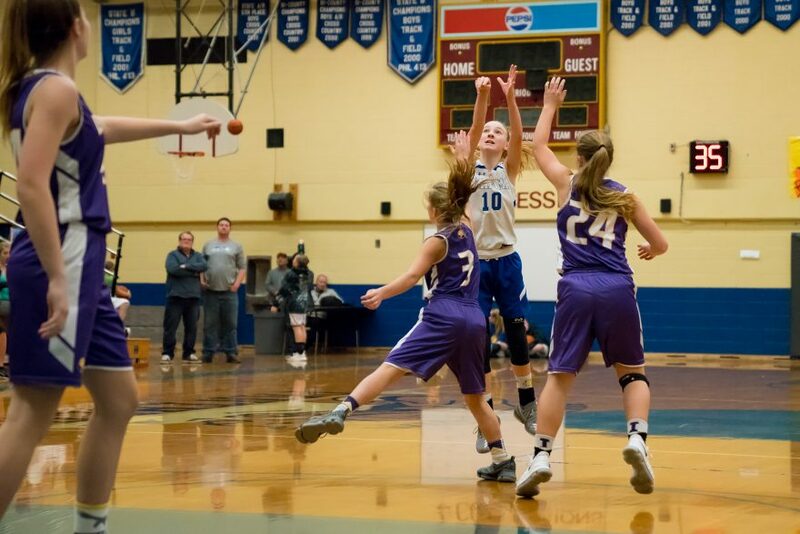 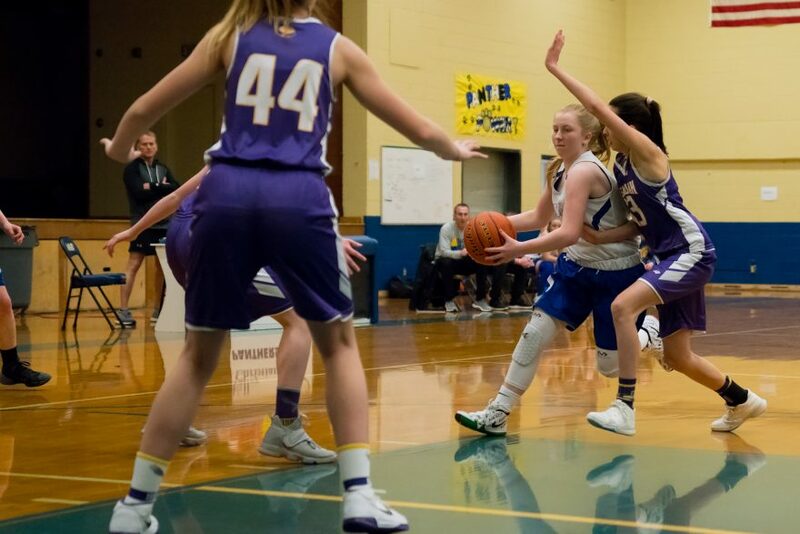 With about three minutes remaining in the first half, the Tahoma’s #2 sunk an 18-footer to break the tie, and in the closing minutes of the half, they pulled further ahead, 18-11. 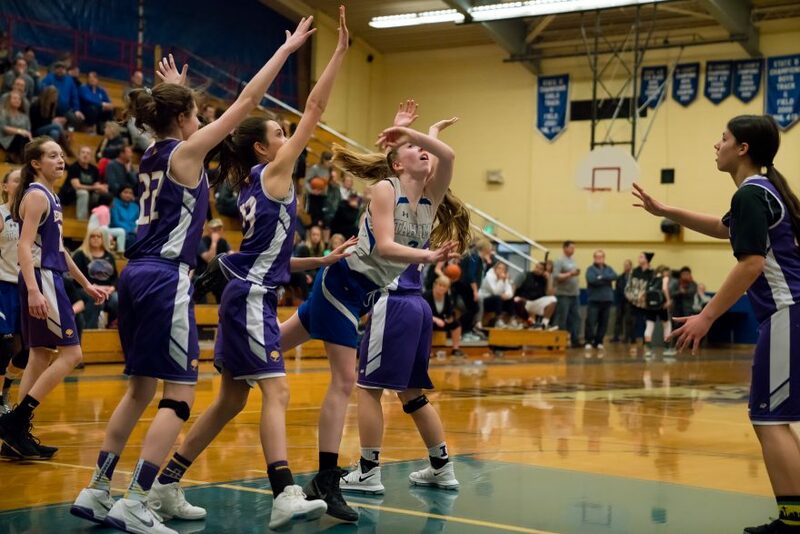 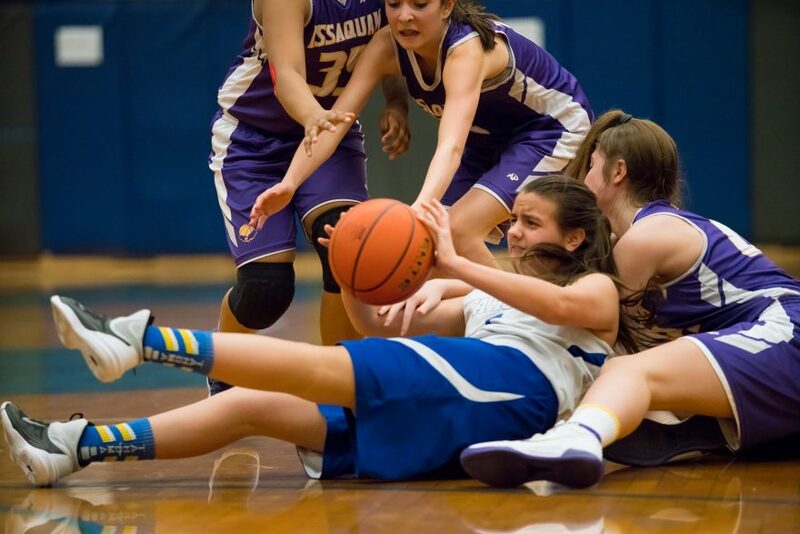 In the second half, the Issaquah Eagles fought hard but continued to fall behind. 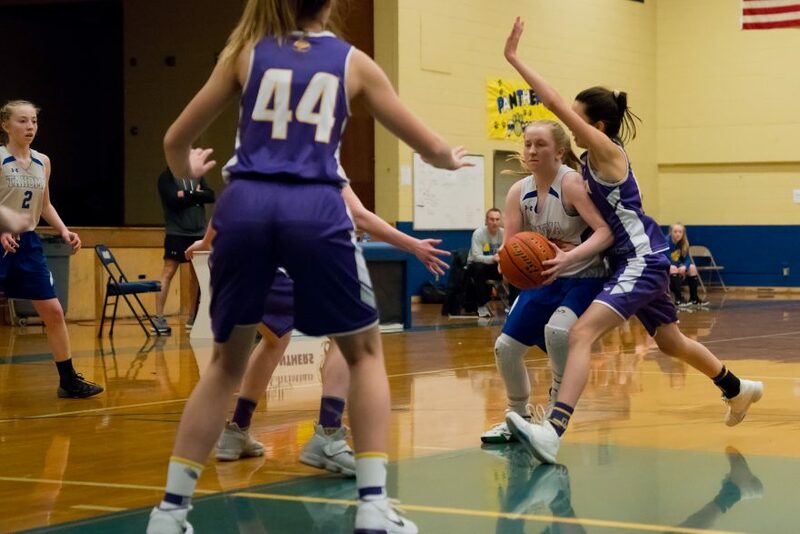 By midway through the period, Tahoma had opened up a 33-18 lead, which grew to 40-20 with four minutes to go in the game. 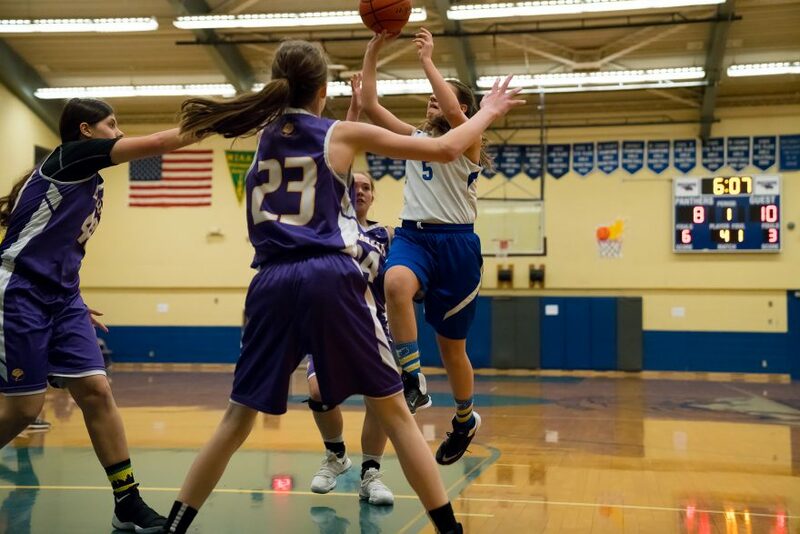 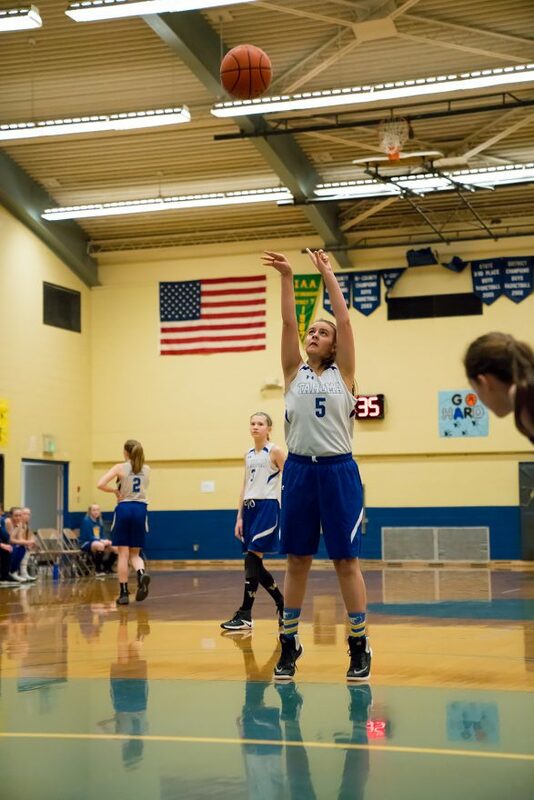 From there, the scores remained unchanged until Tahoma’s #5 dropped in a breakaway layup at the buzzer. 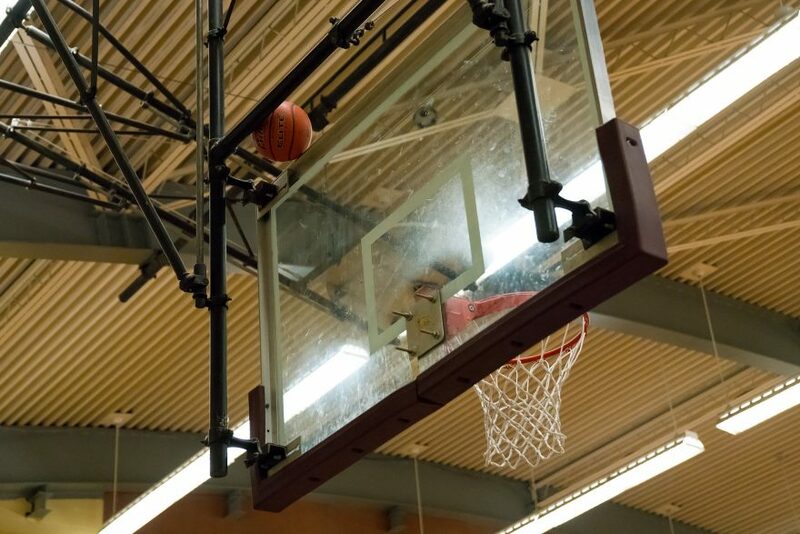 Final Score: 42-20, Bears.